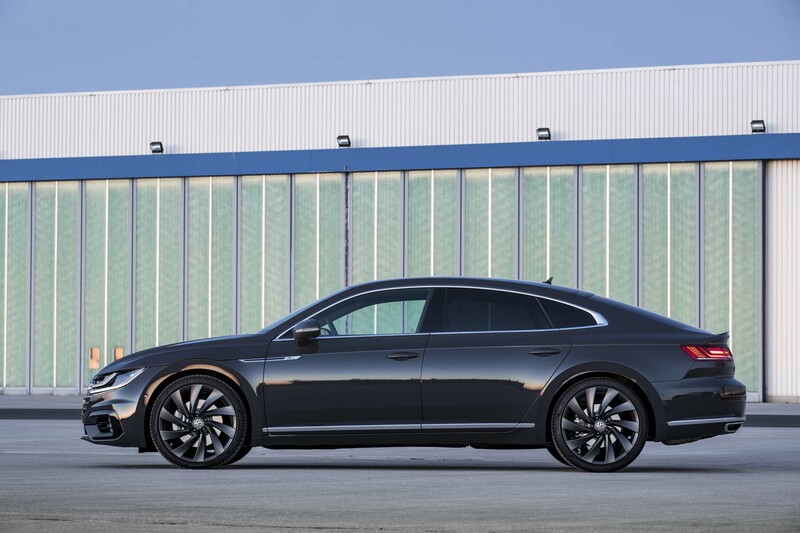 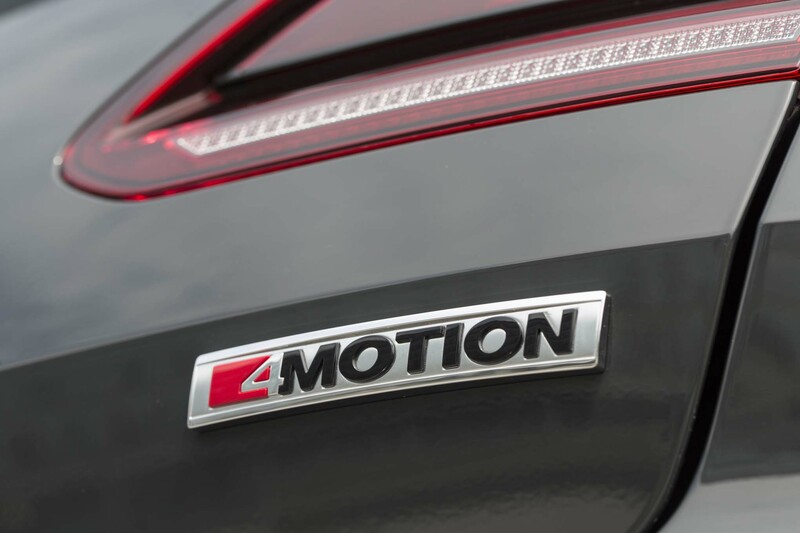 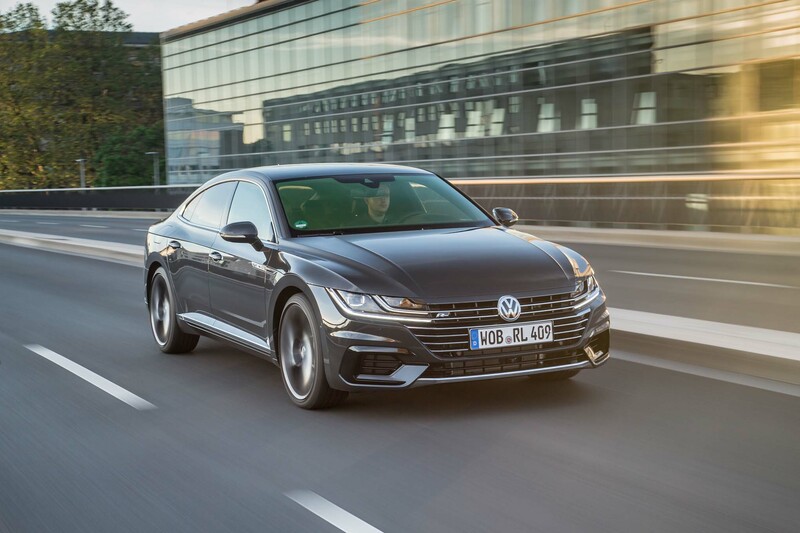 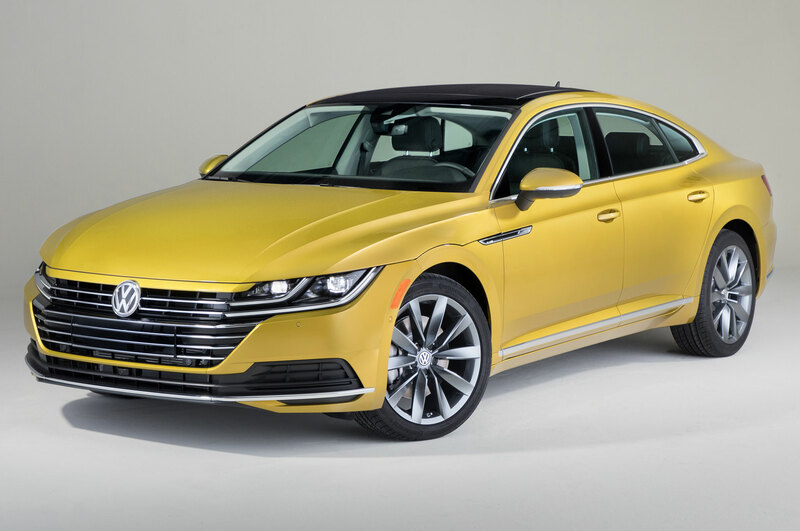 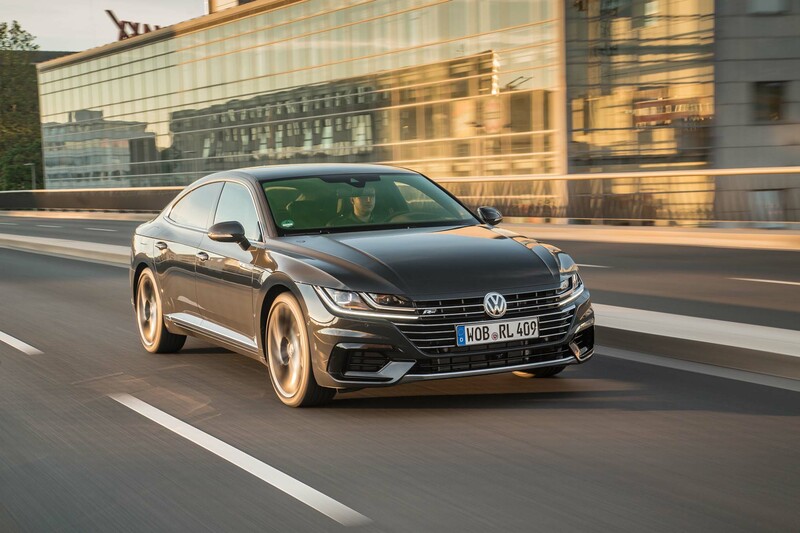 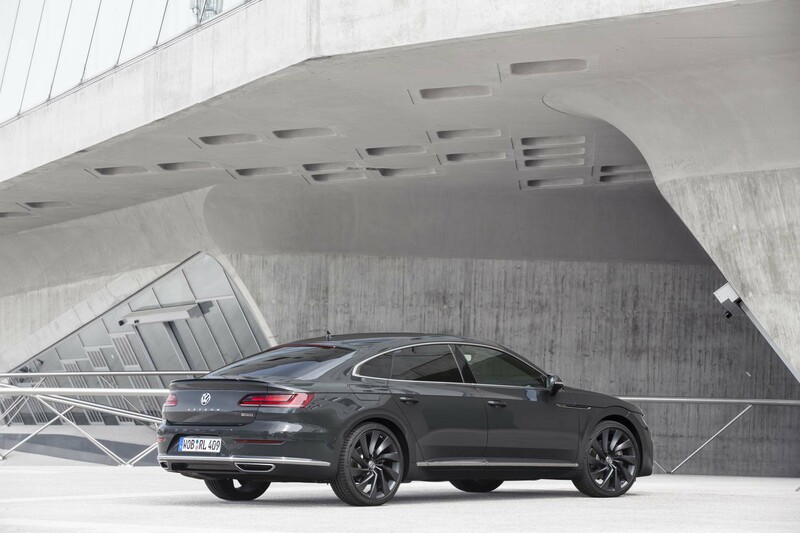 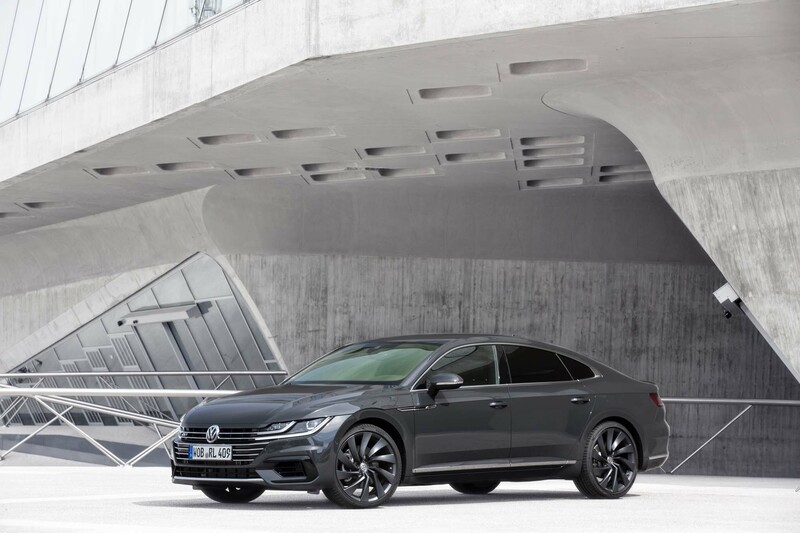 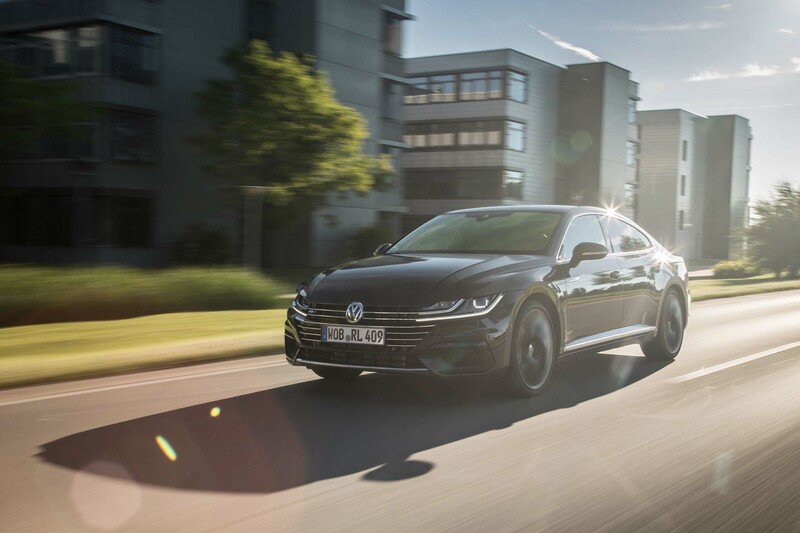 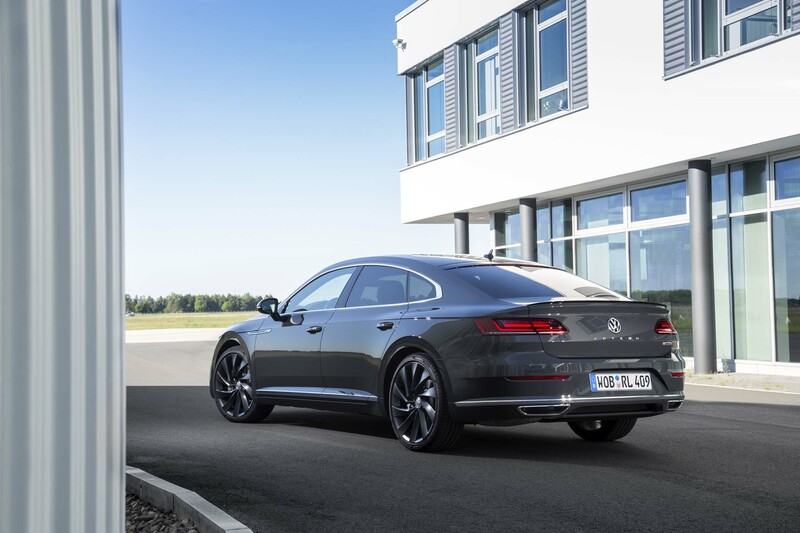 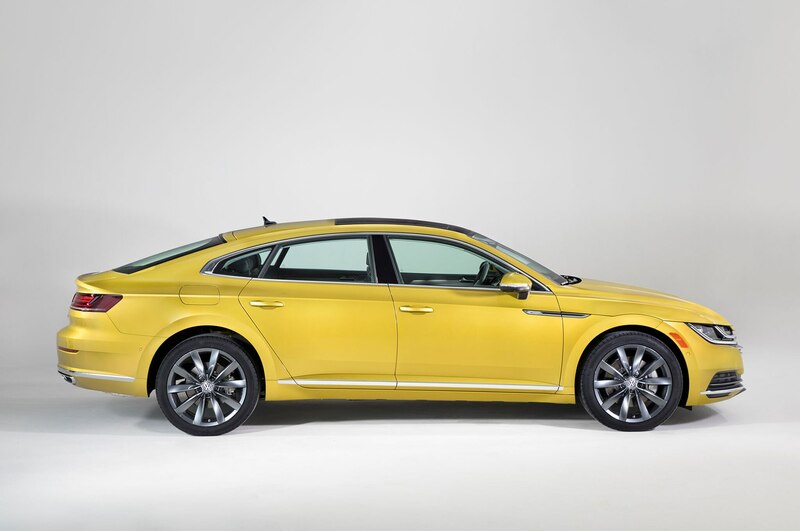 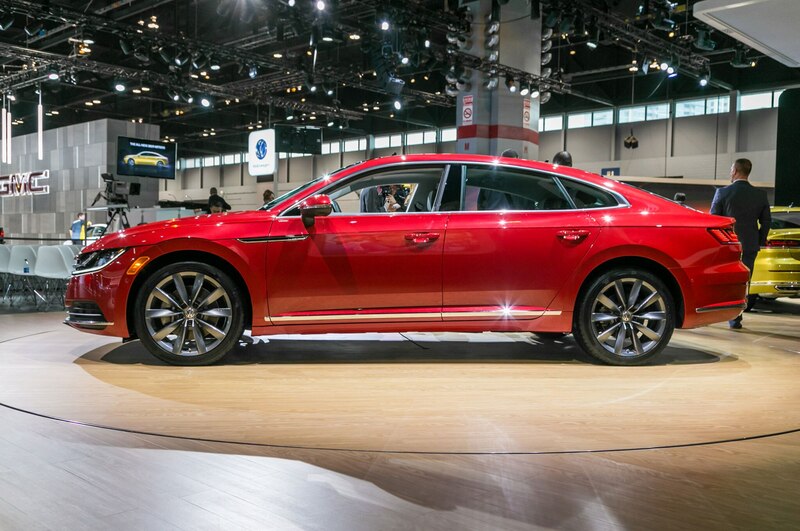 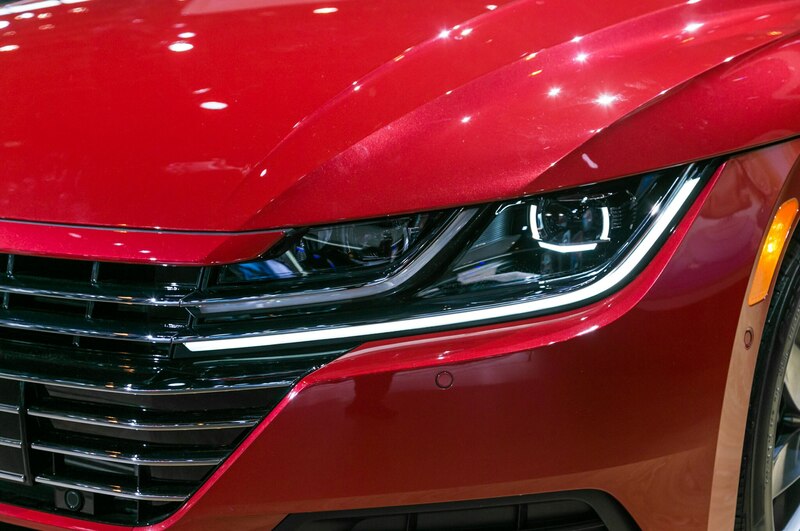 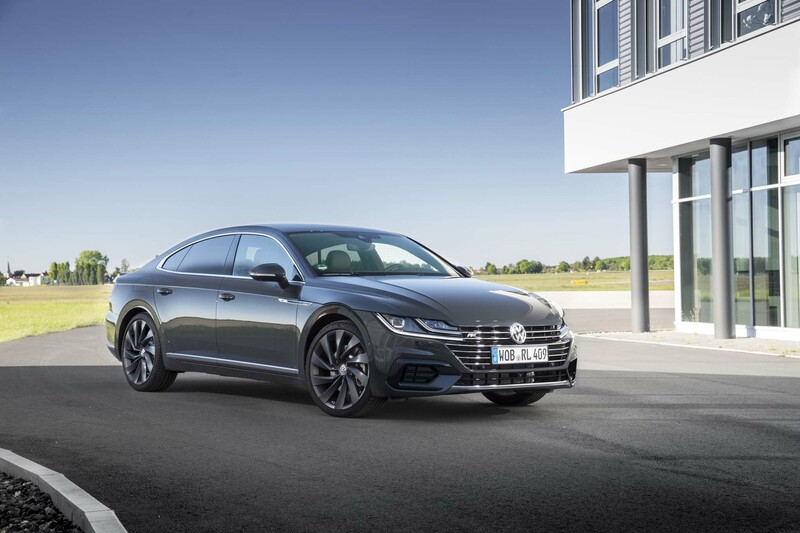 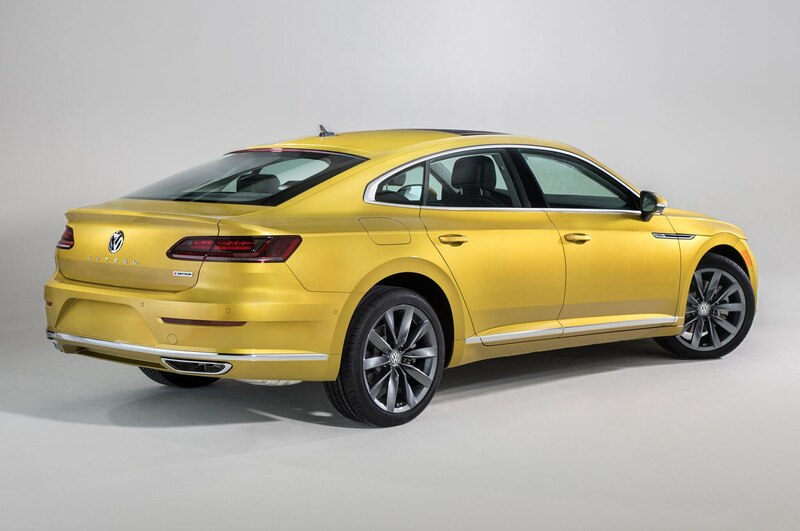 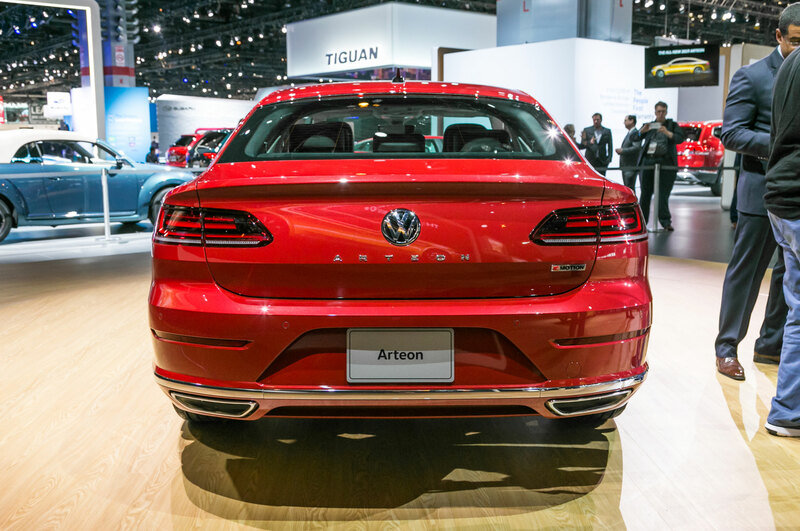 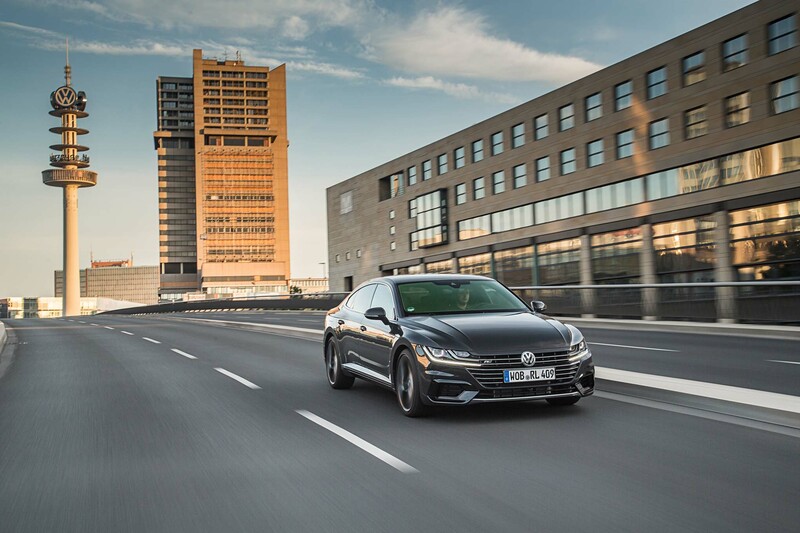 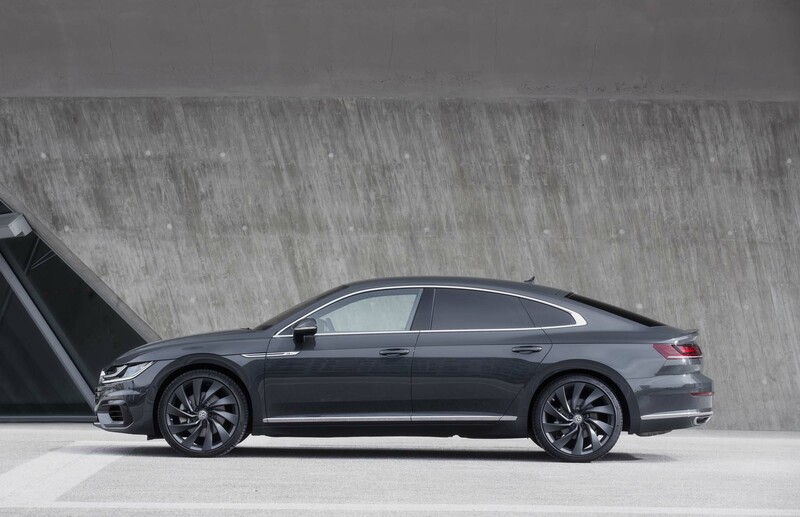 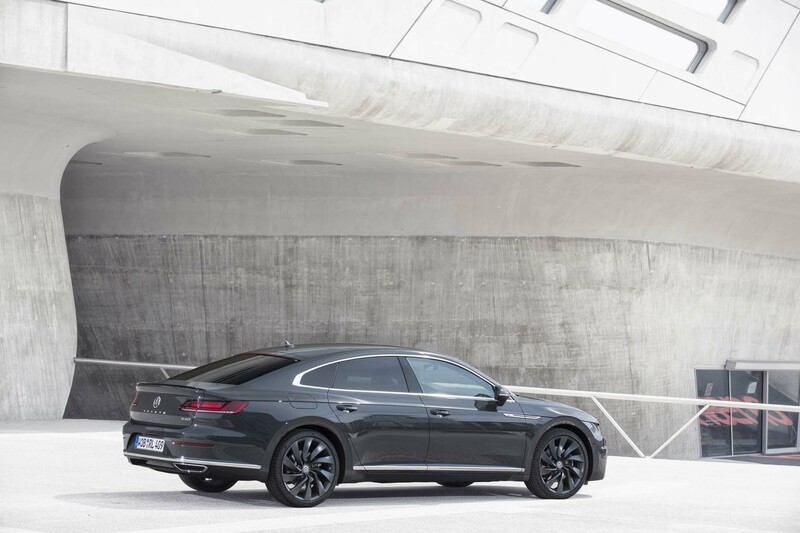 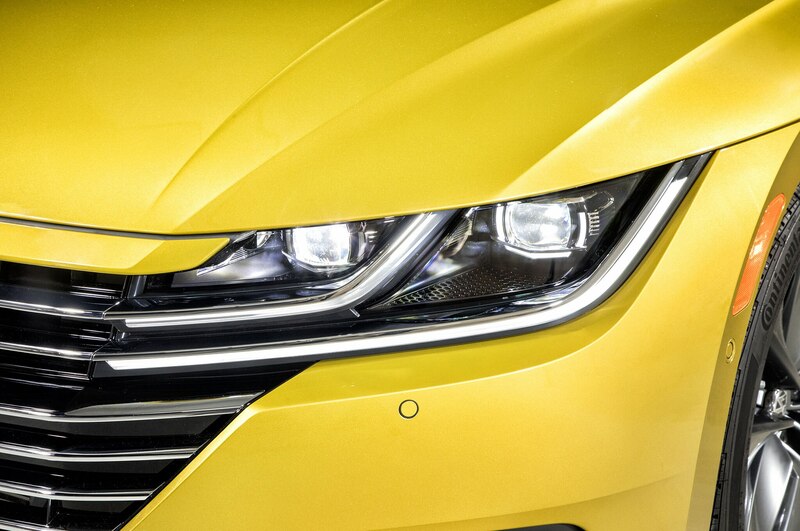 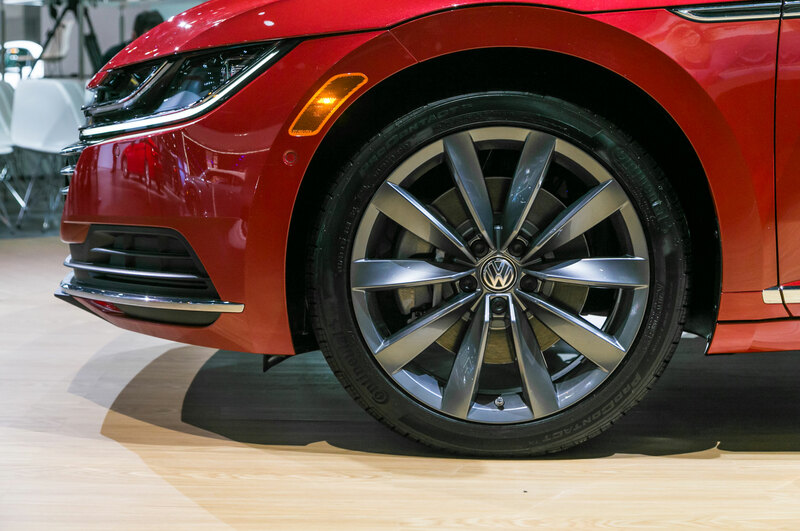 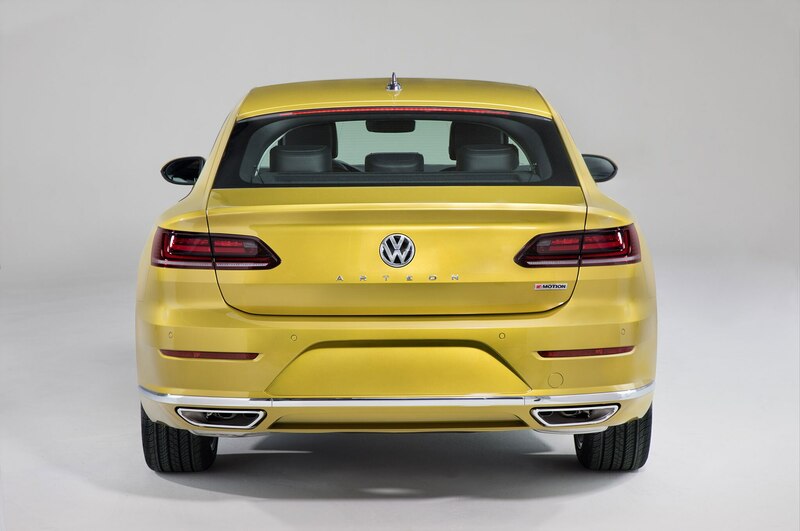 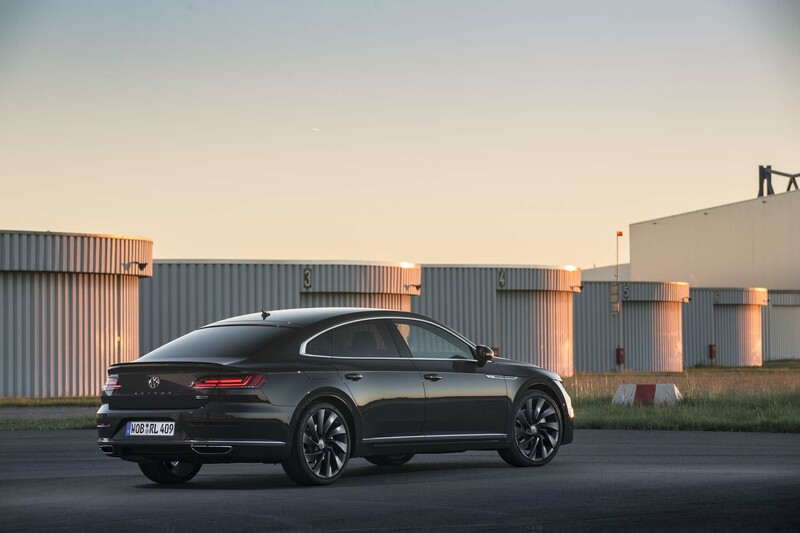 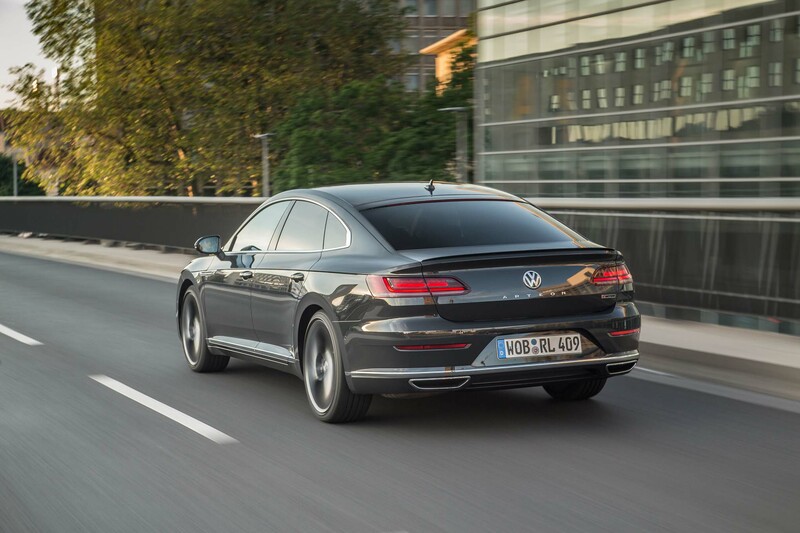 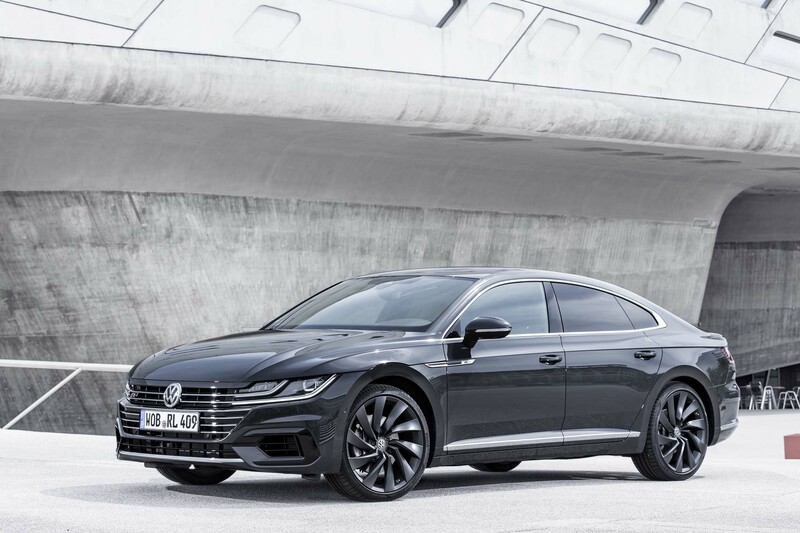 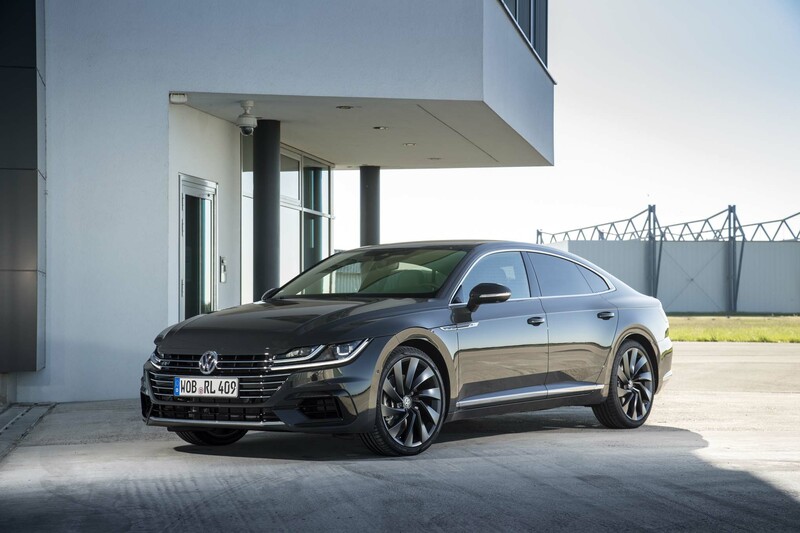 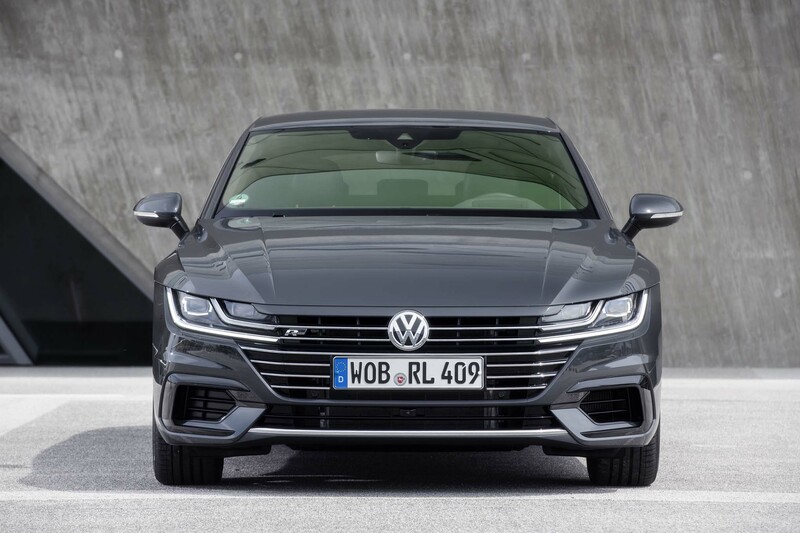 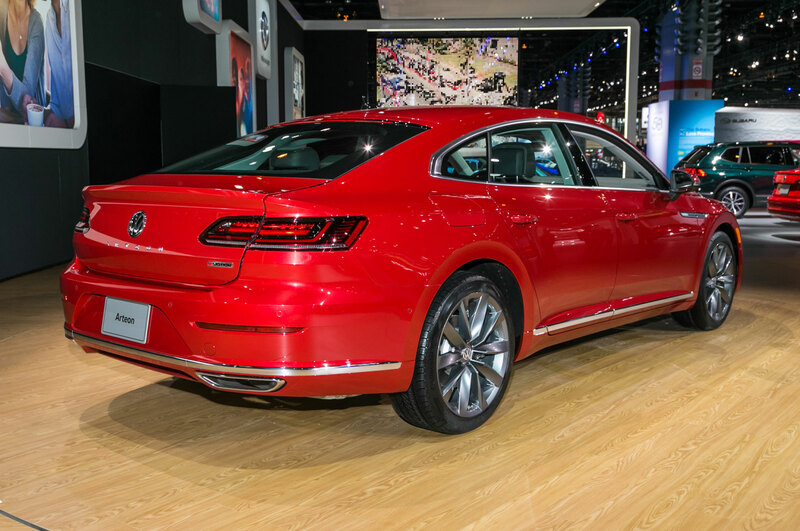 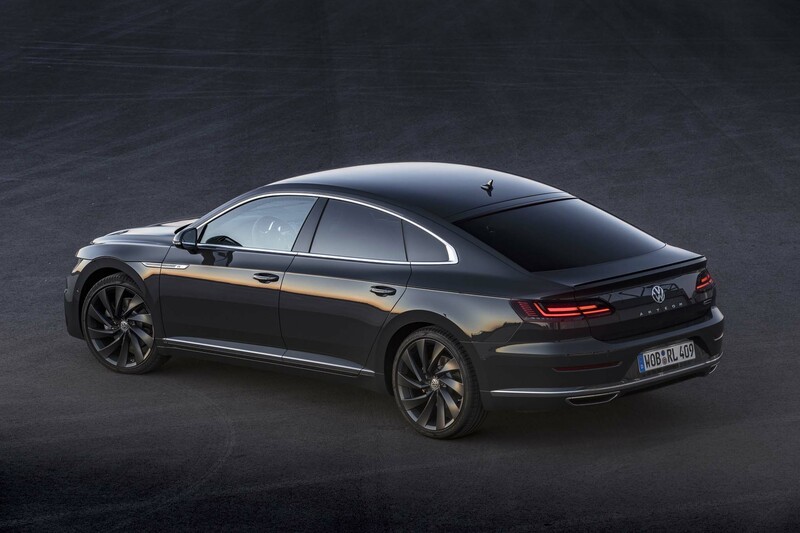 CHICAGO, Illinois — Nearly a year after we first saw at the 2017 Geneva Auto Show, the 2019 Volkswagen Arteon has arrived for its North American closeup. 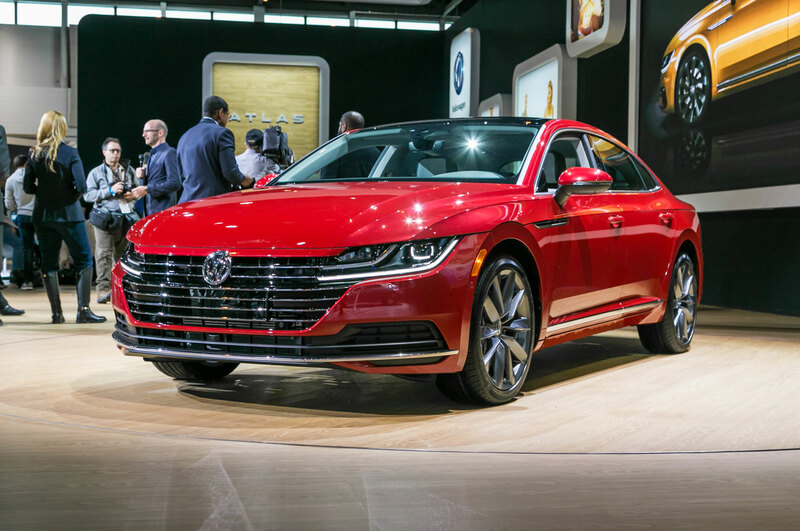 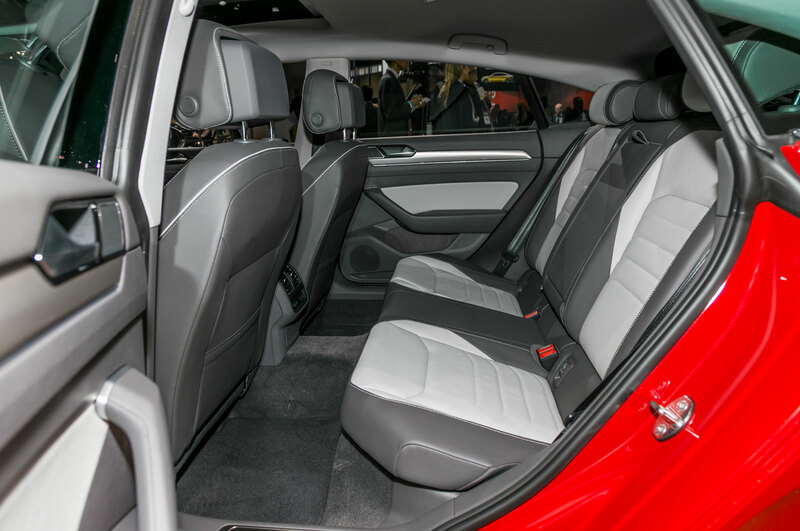 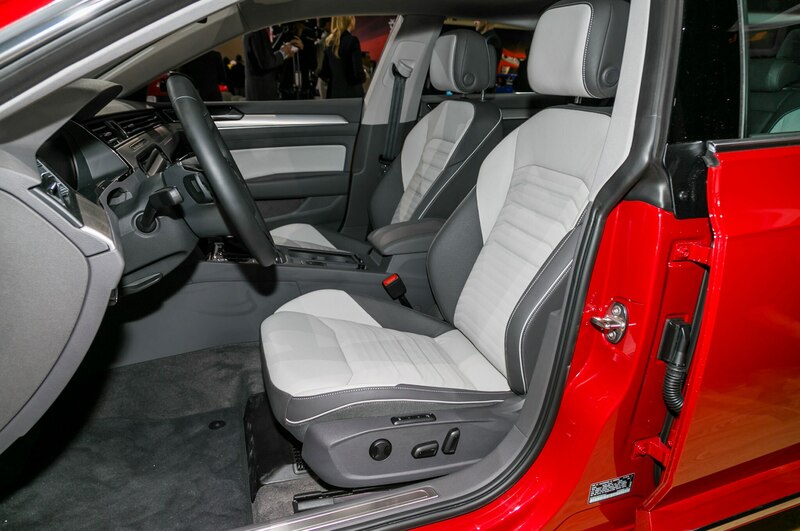 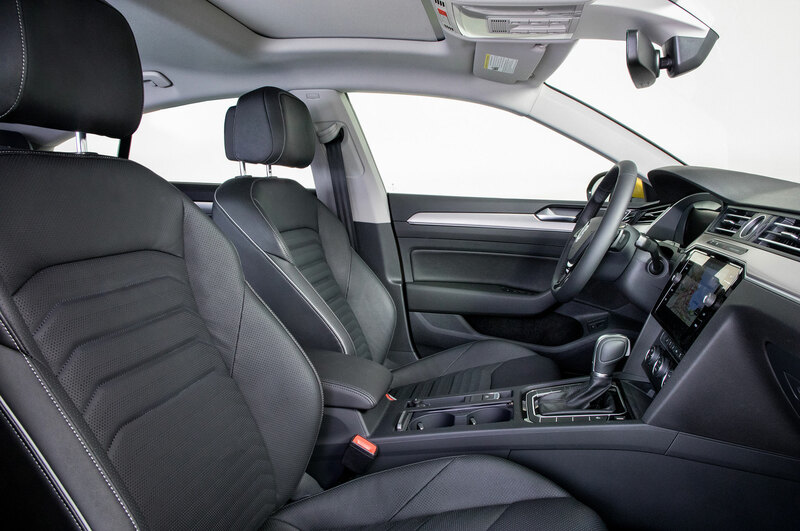 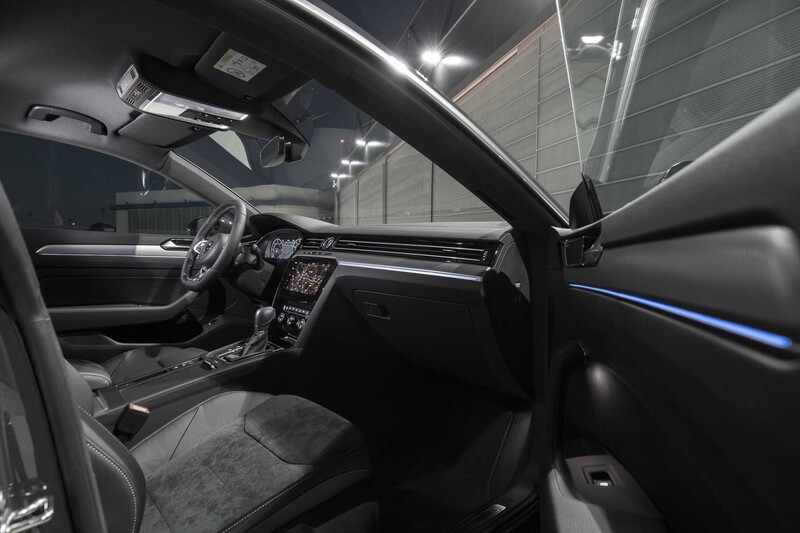 The U.S.-spec model of the new stylish foor-door made its U.S. premiere on the floor of the 2018 Chicago Auto Show and the automaker says you’ll be able to roll away in one from your local dealer by the third quarter of this year. 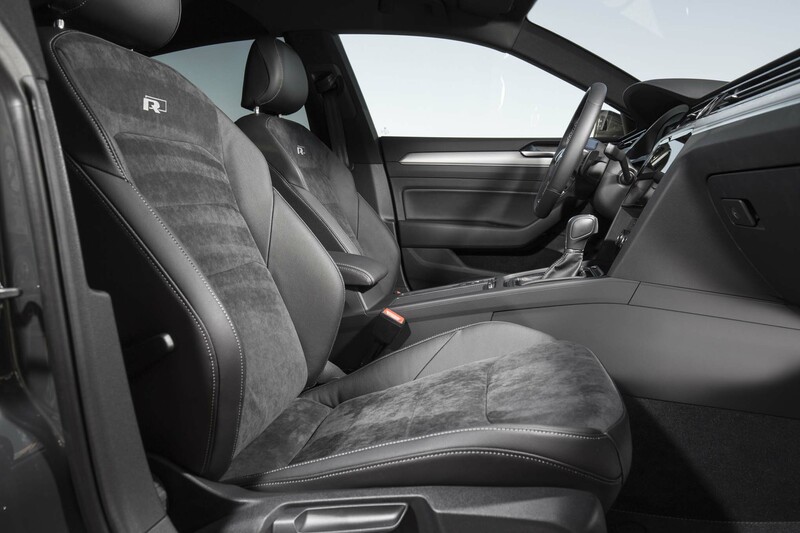 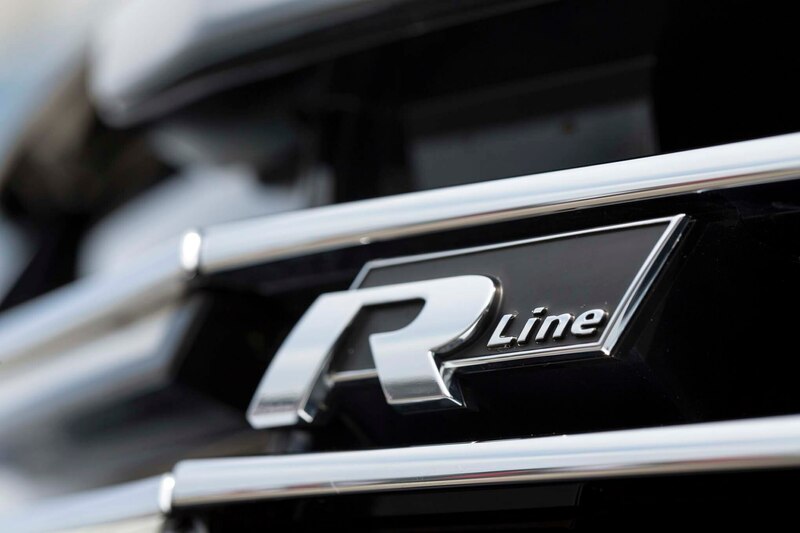 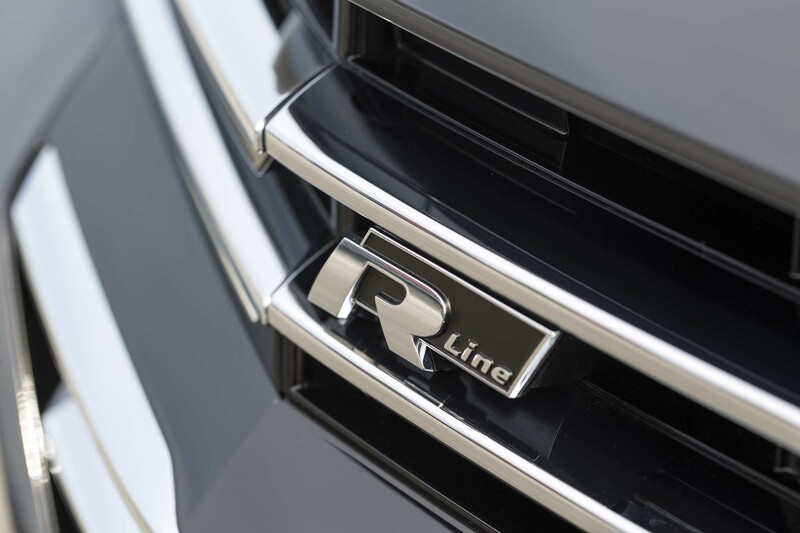 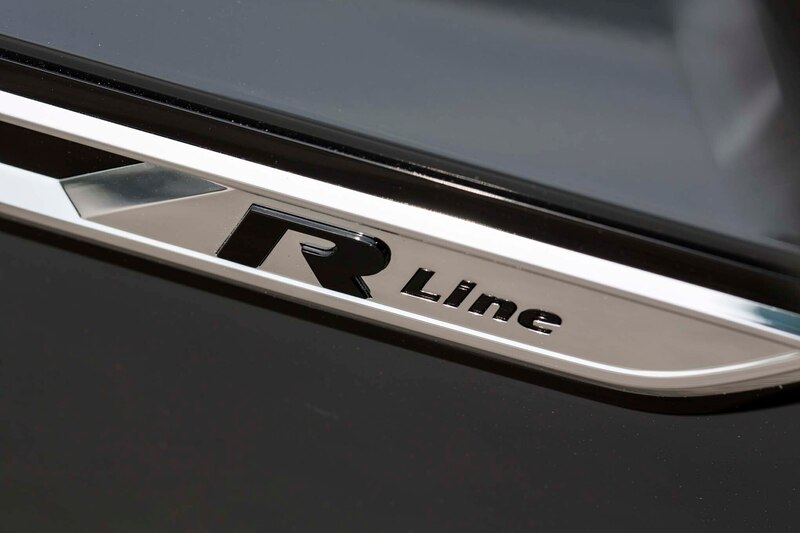 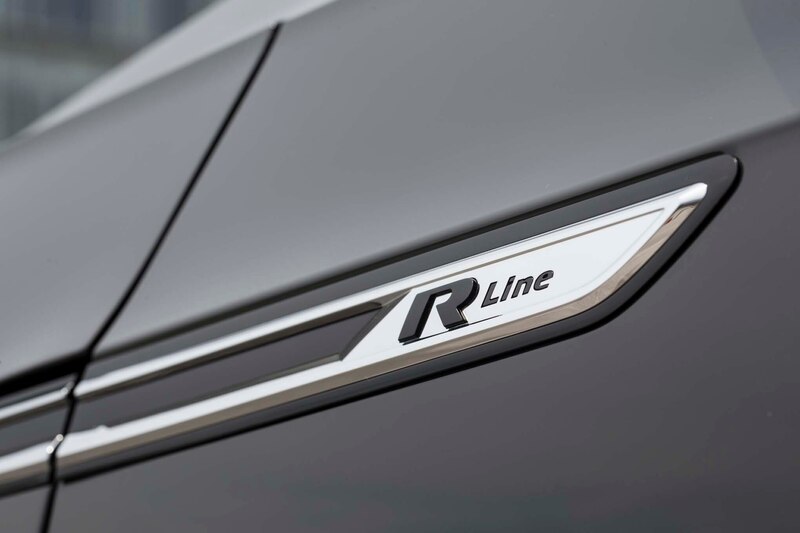 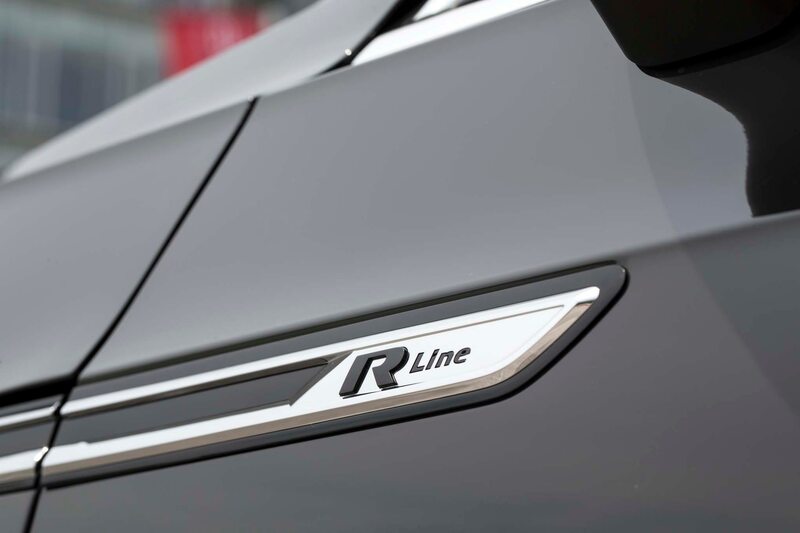 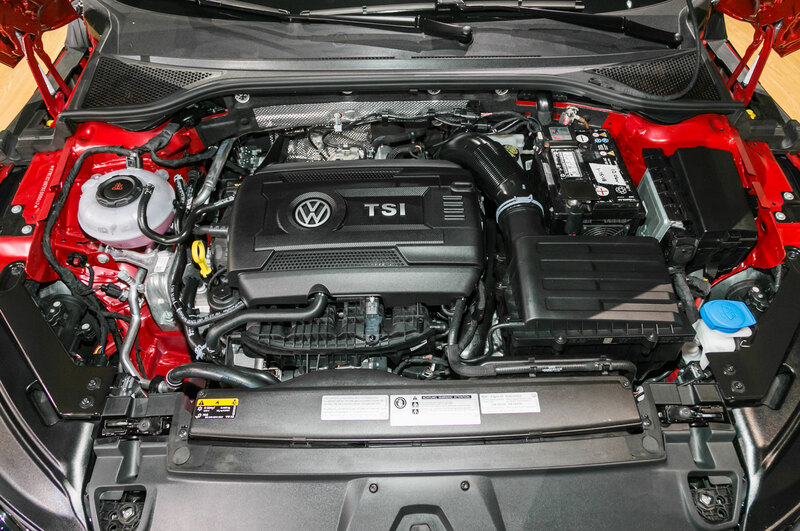 It will be available in three trims—SE, SEL, and Premium—but only one engine. 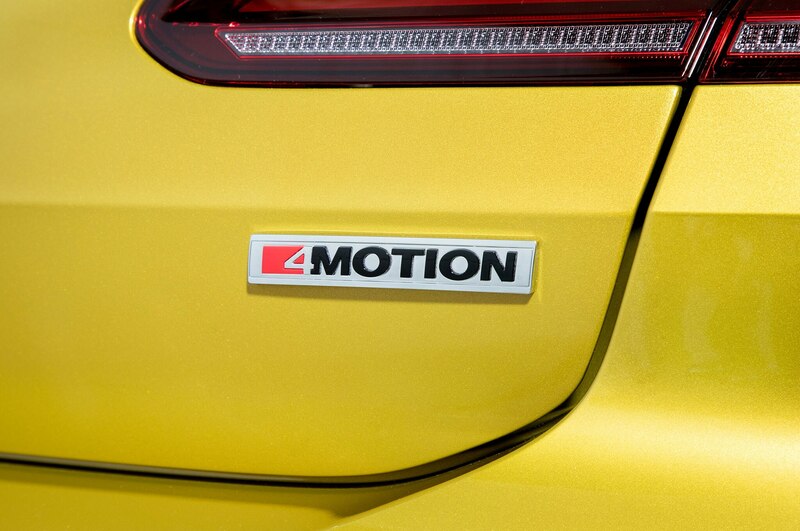 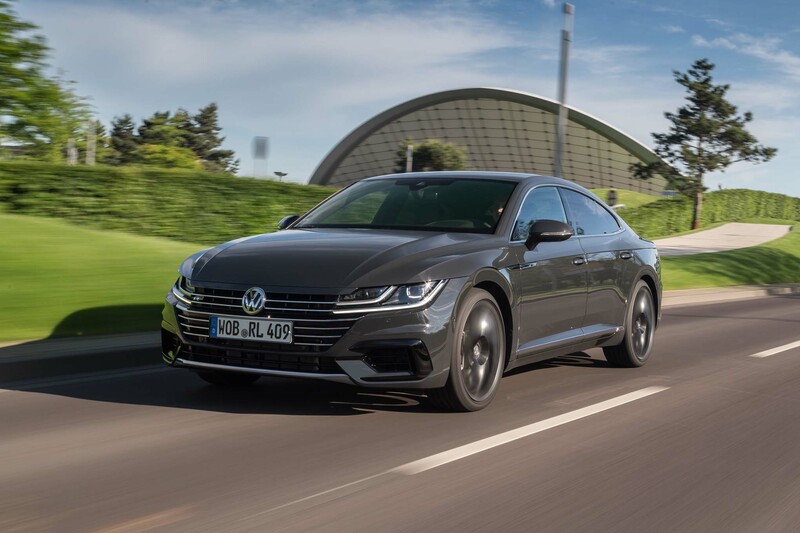 All 2019 Arteons receive Volkswagen’s workhorse 2.0-liter turbo-four, which is tuned to make 268 hp and 258 lb-ft of torque. 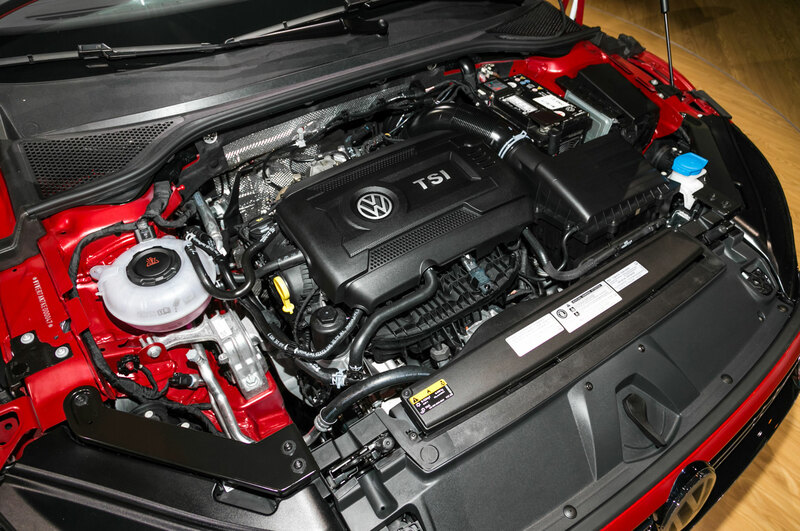 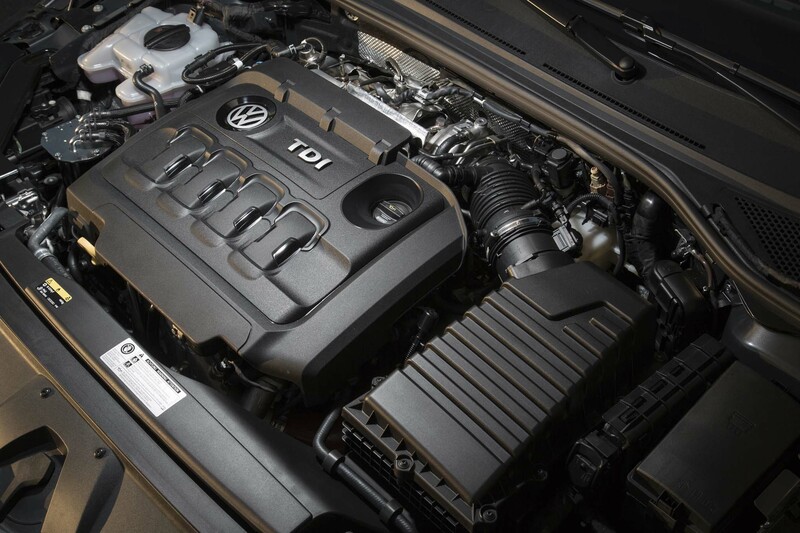 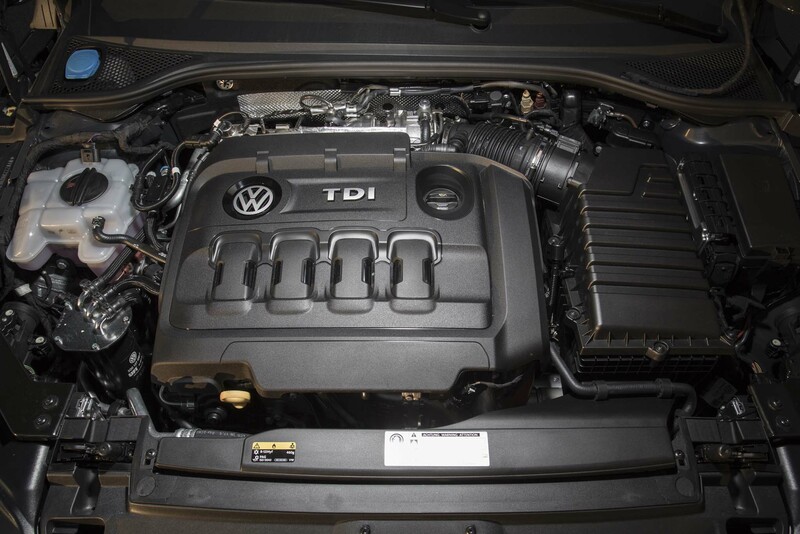 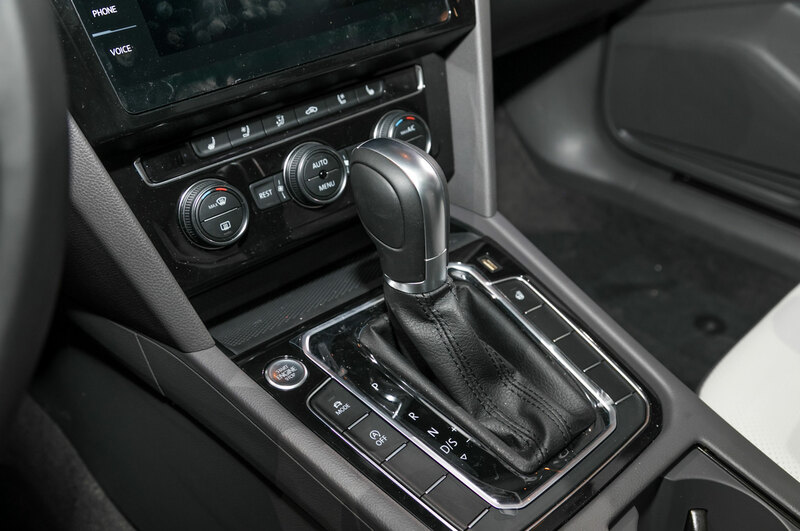 Power is managed exclusively by an eight-speed automatic transmission. 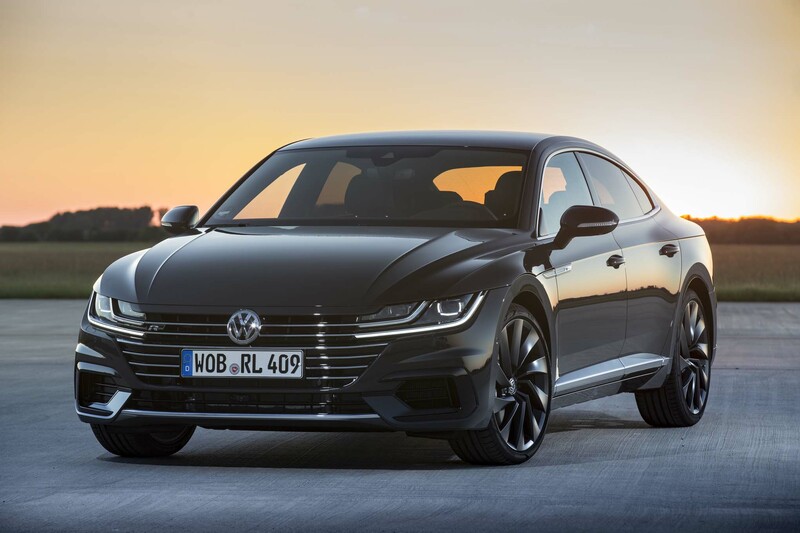 Buyers will get the choice of front- or all-wheel-drive, however. 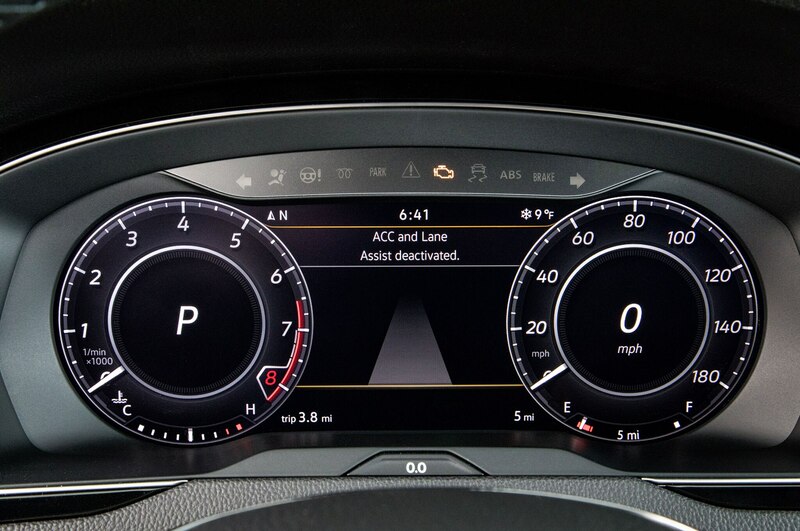 Standard features on all Arteons will include heated front seats, LED headlamps, forward collision assist, autonomous emergency braking, blind spot monitor, and an 8.0-inch touchscreen with Apple CarPlay and AndroidAuto support. 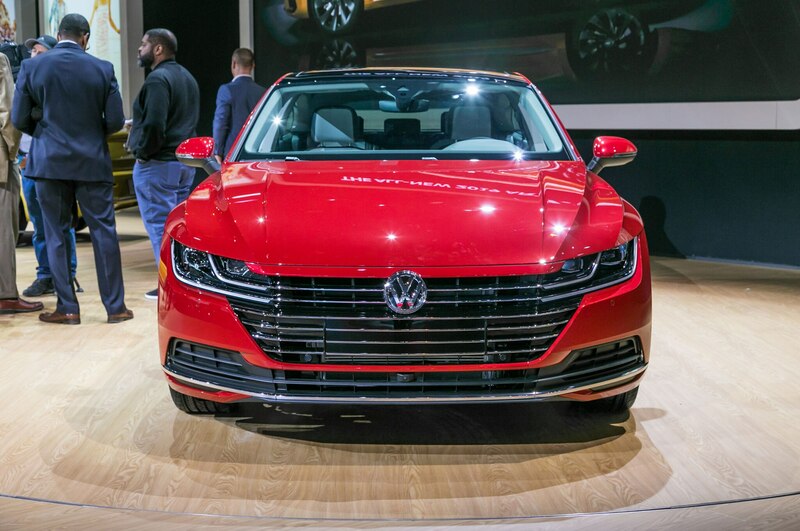 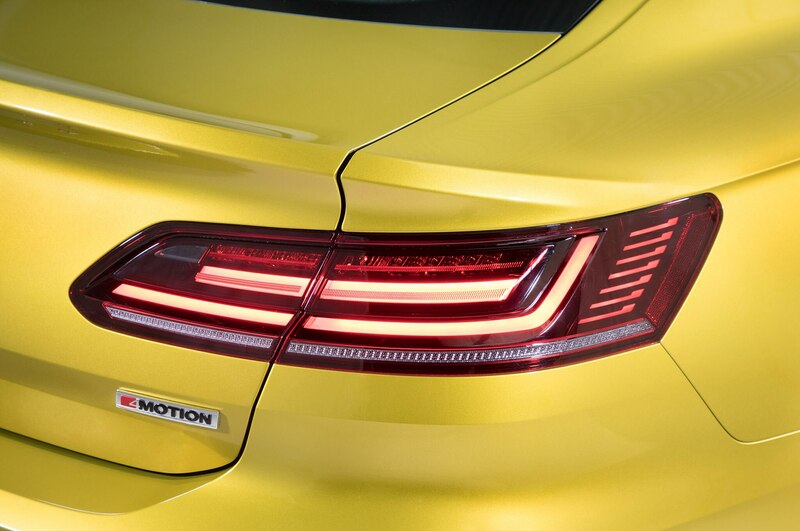 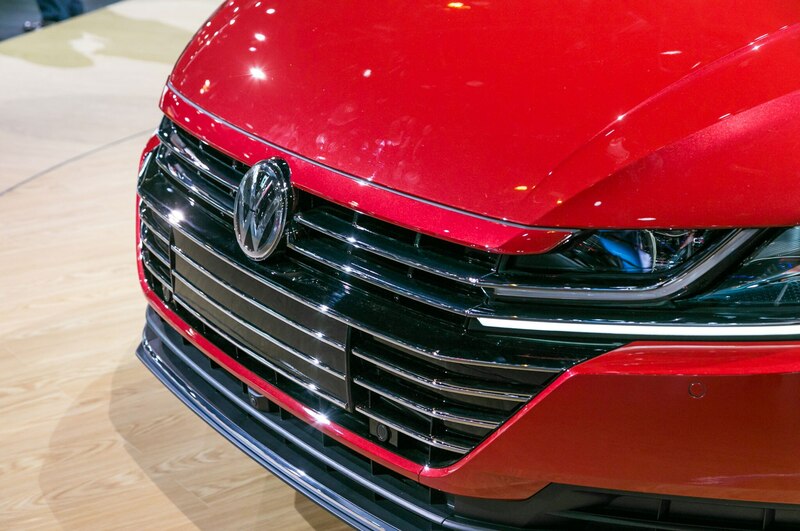 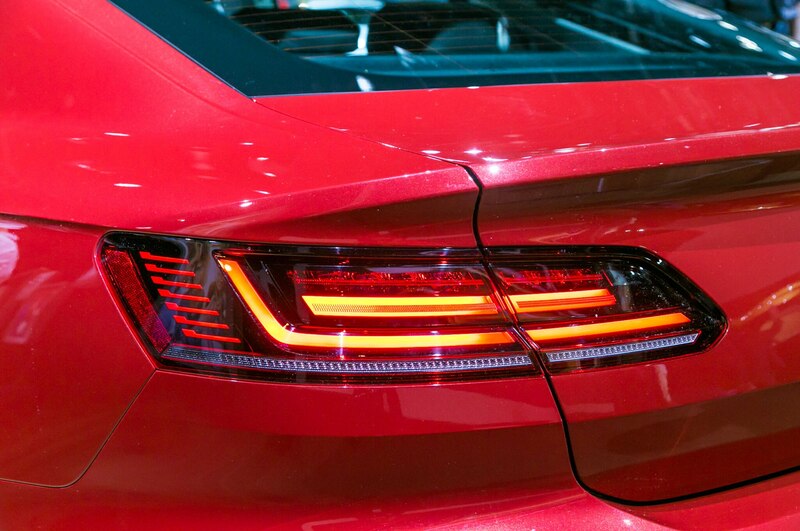 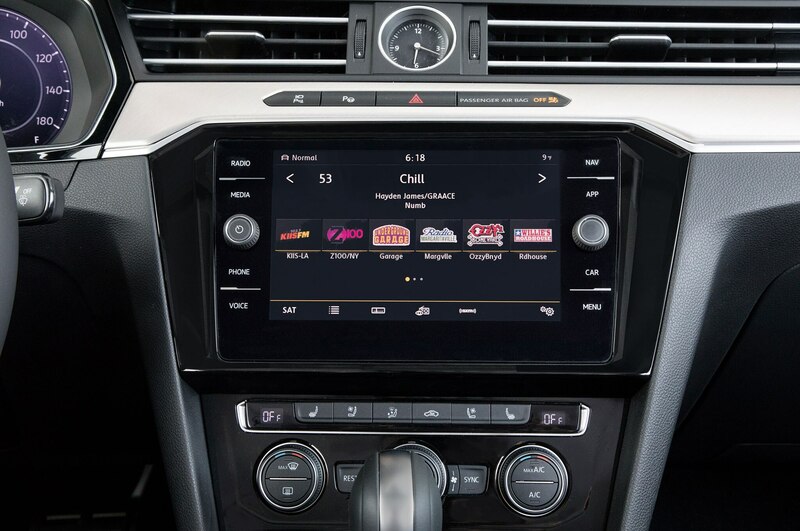 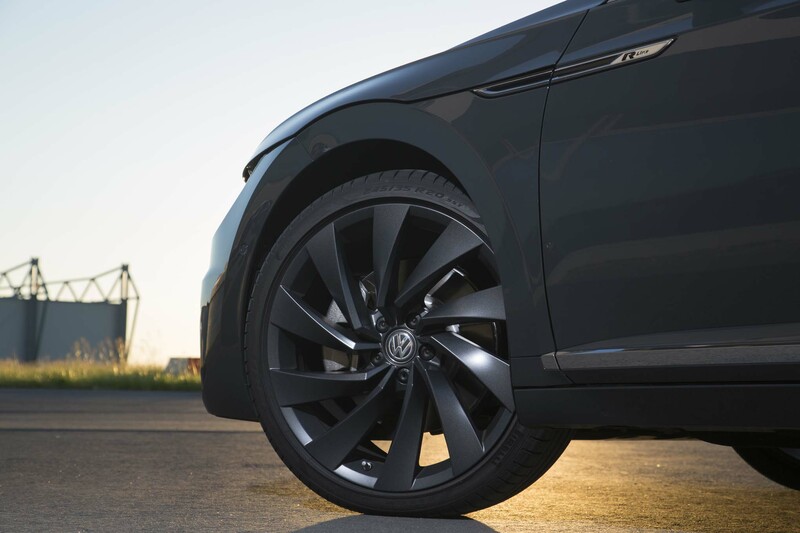 Items on the options list will include adaptive cruise control, Volkswagen’s Digital Cockpit full-LED gauge cluster, a panoramic sunroof, ventilated front seats, massaging driver’s seat, and heated rear seats. 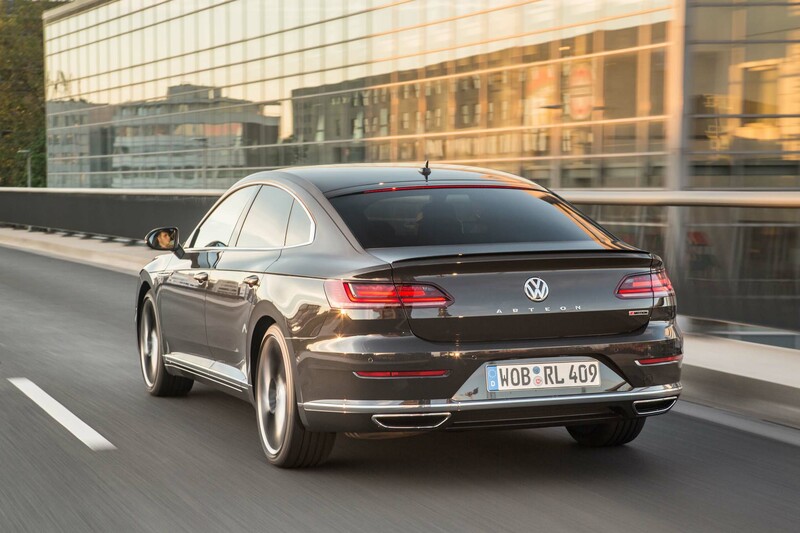 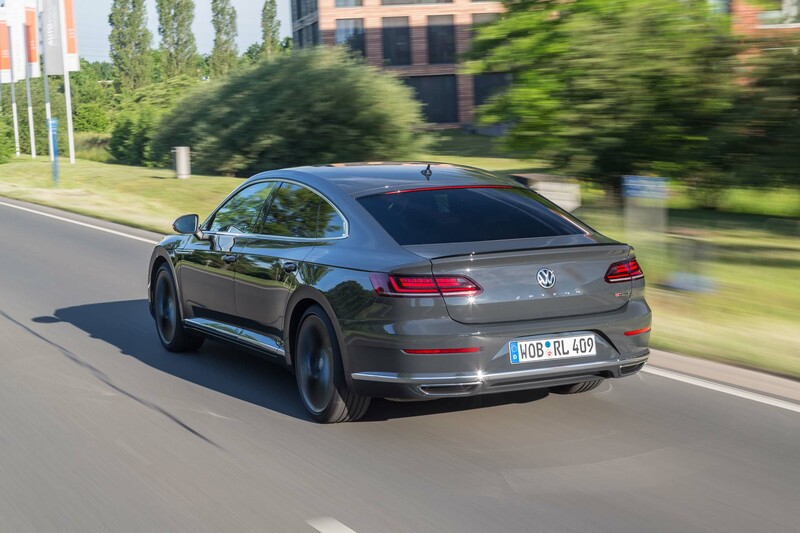 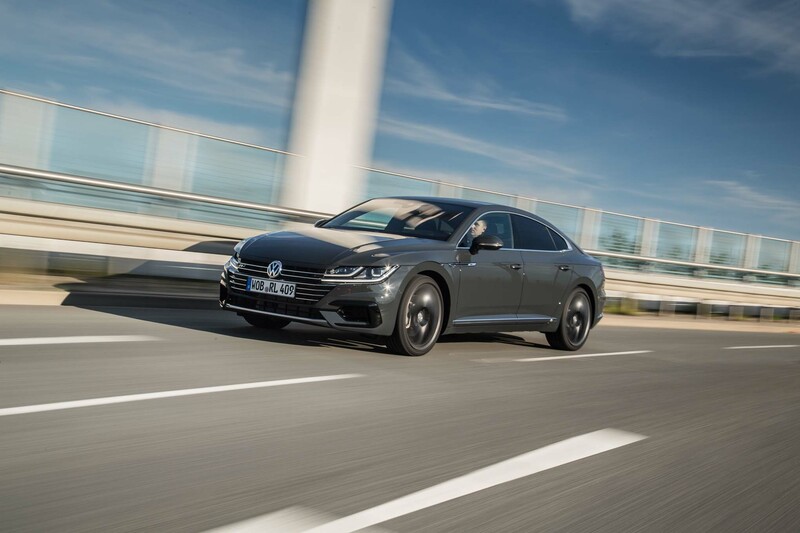 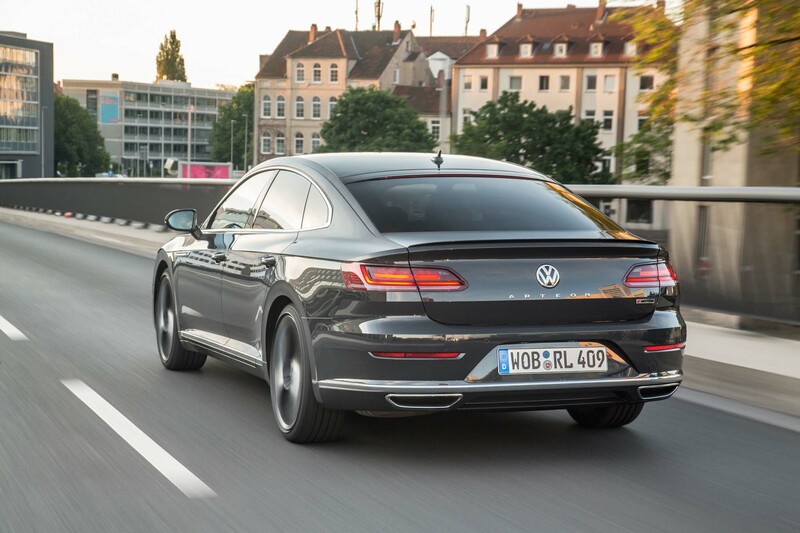 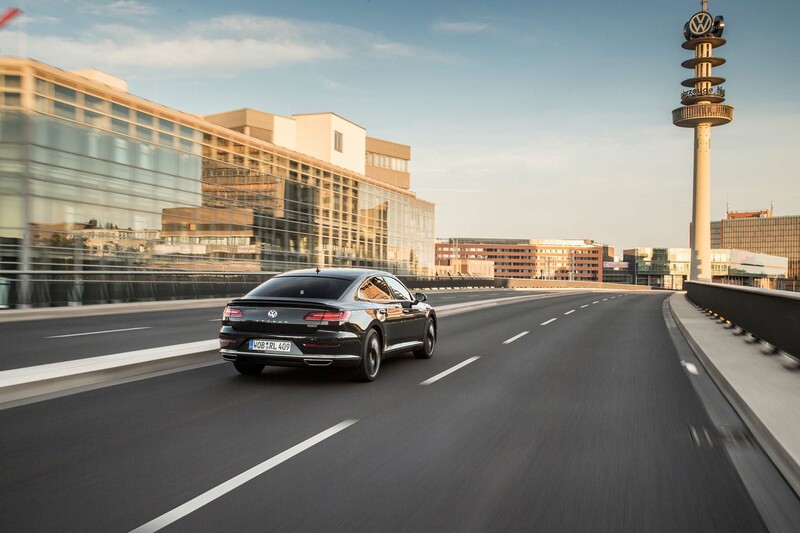 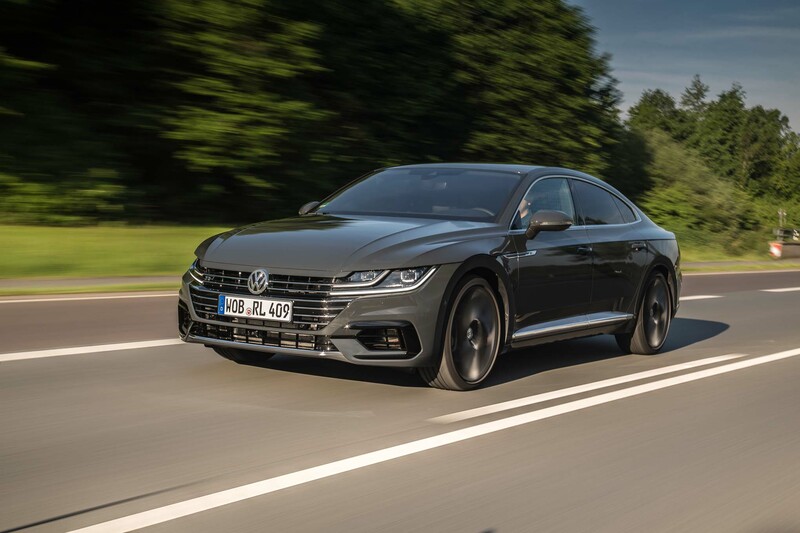 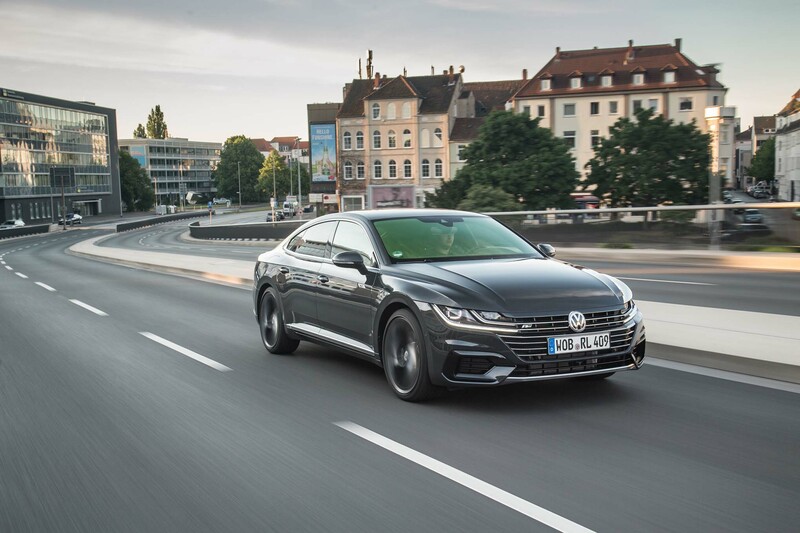 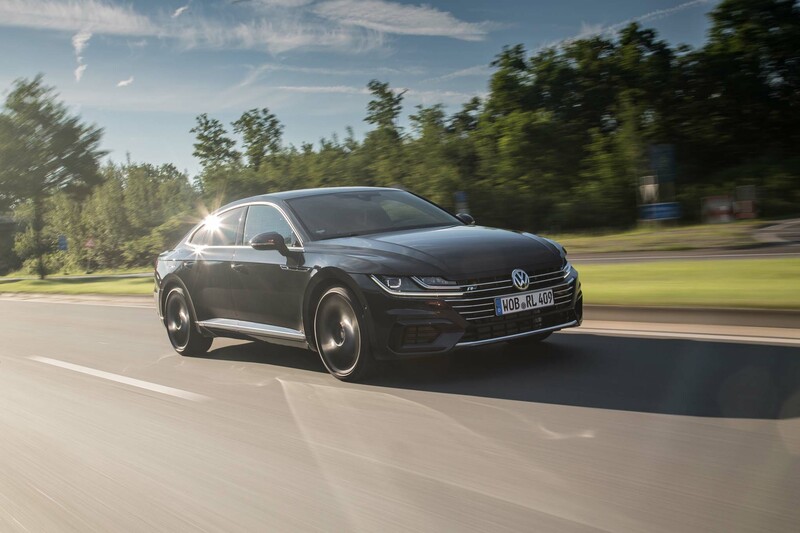 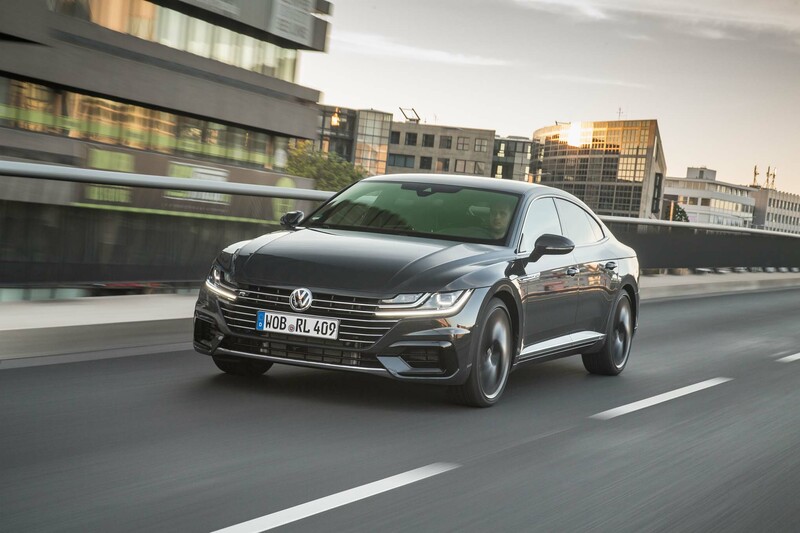 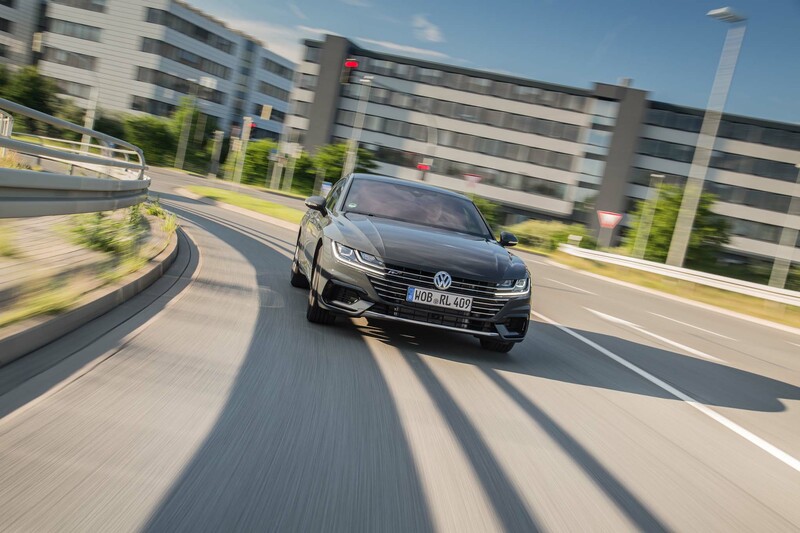 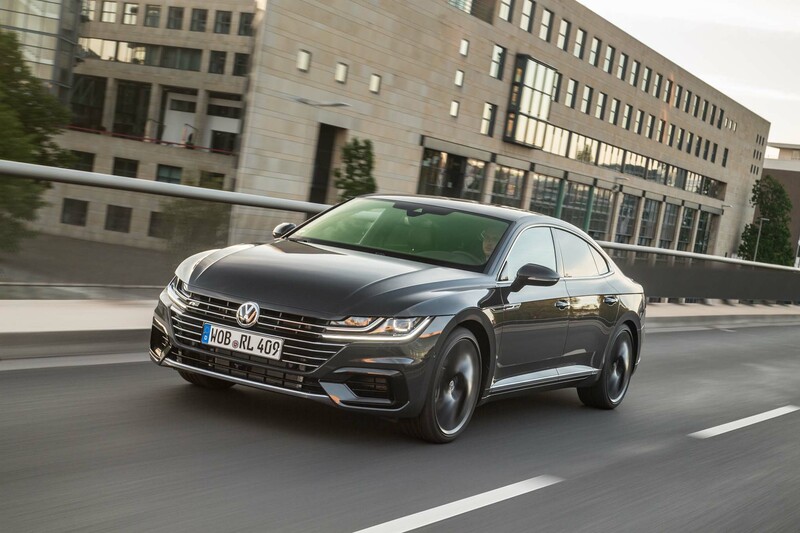 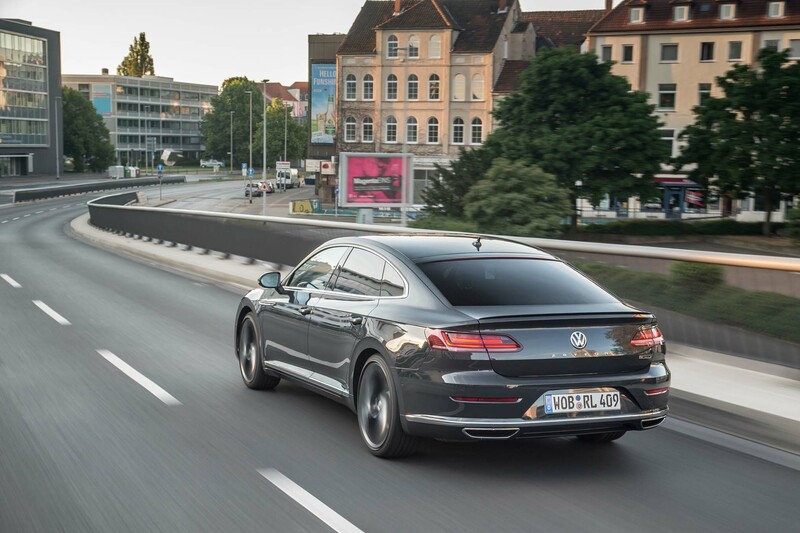 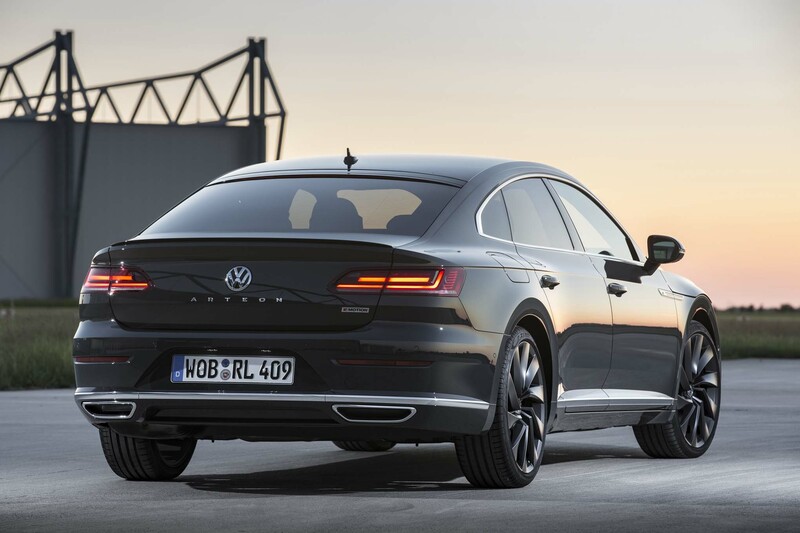 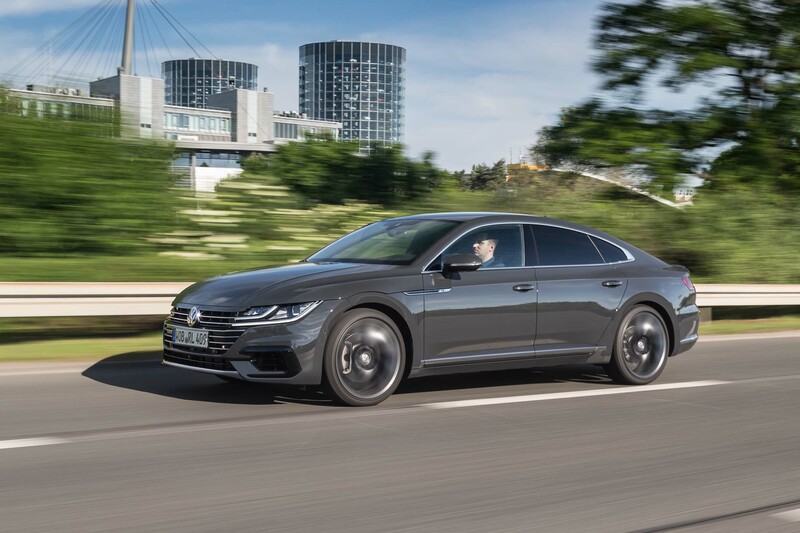 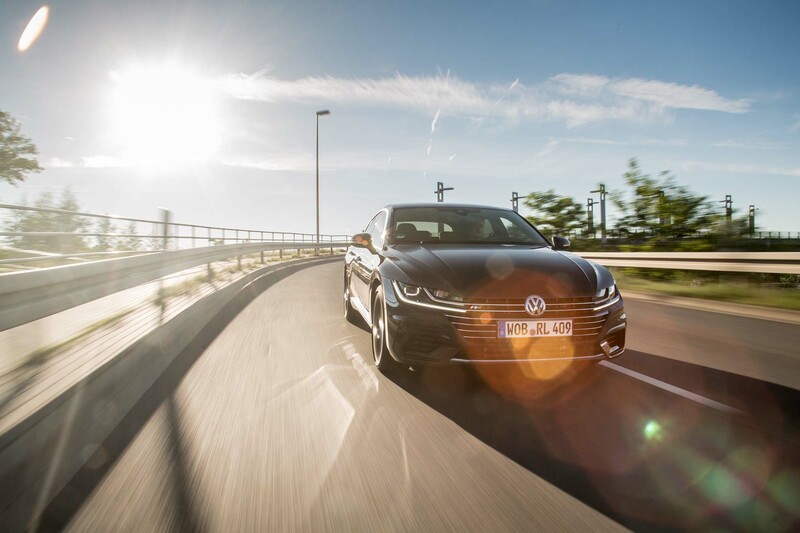 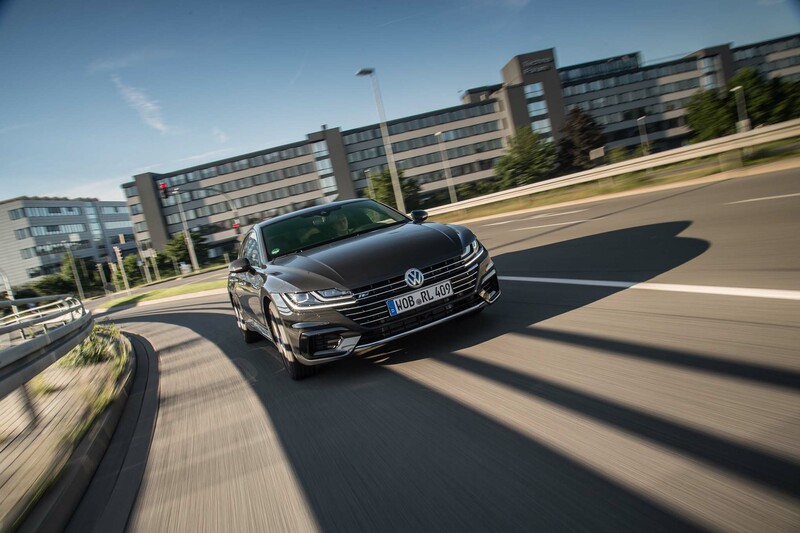 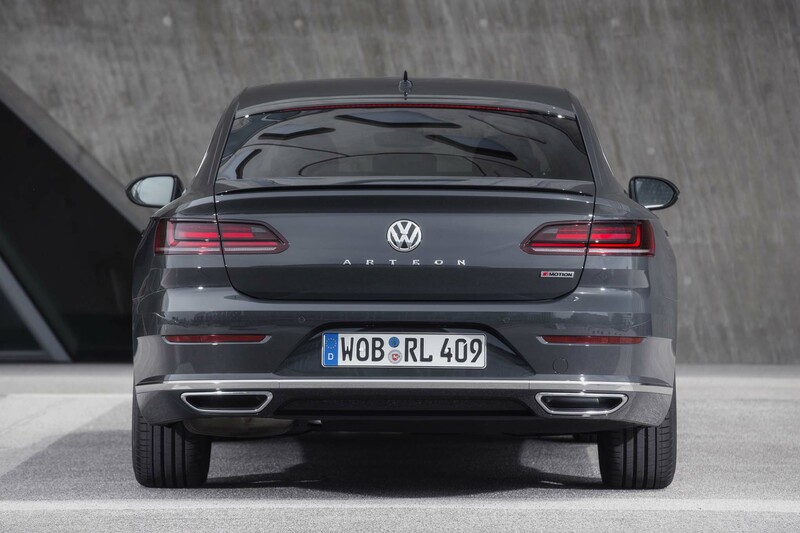 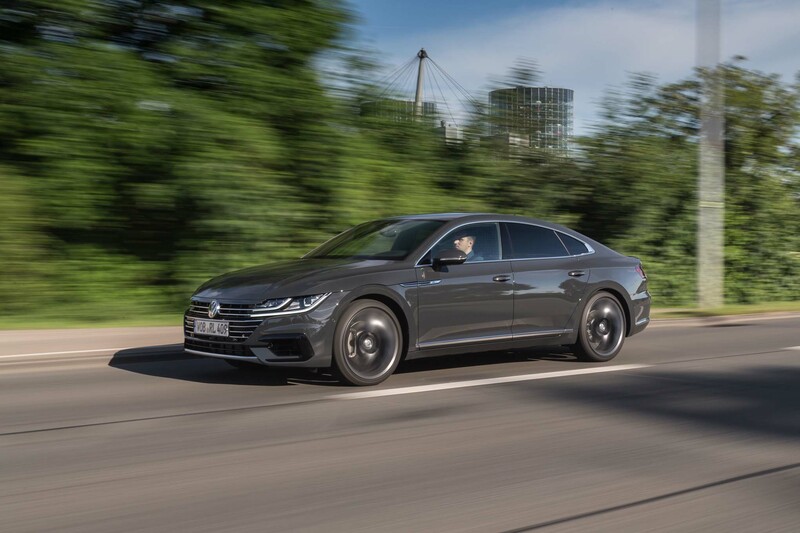 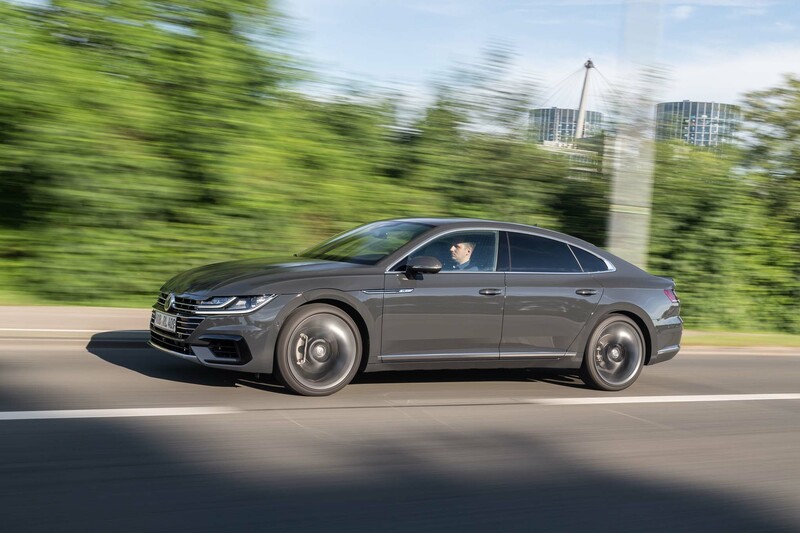 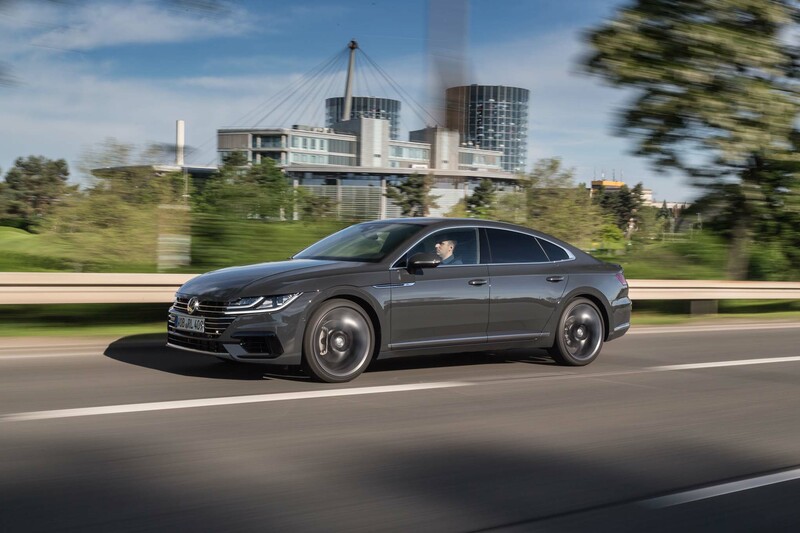 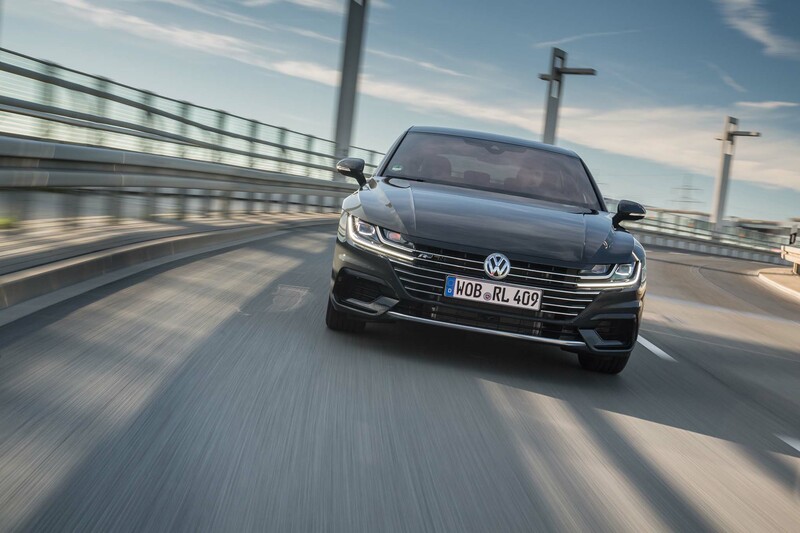 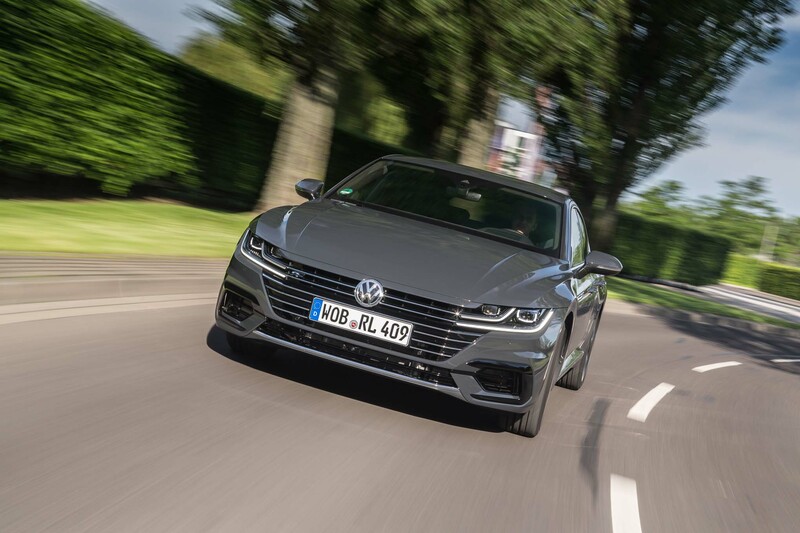 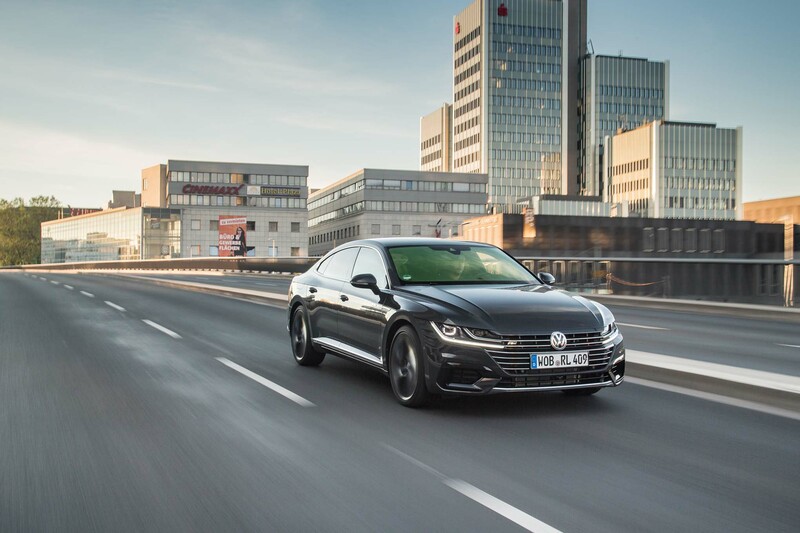 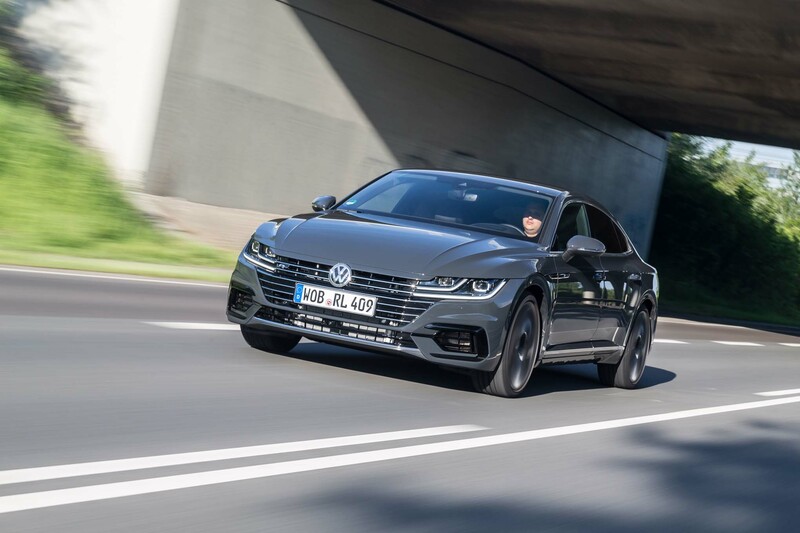 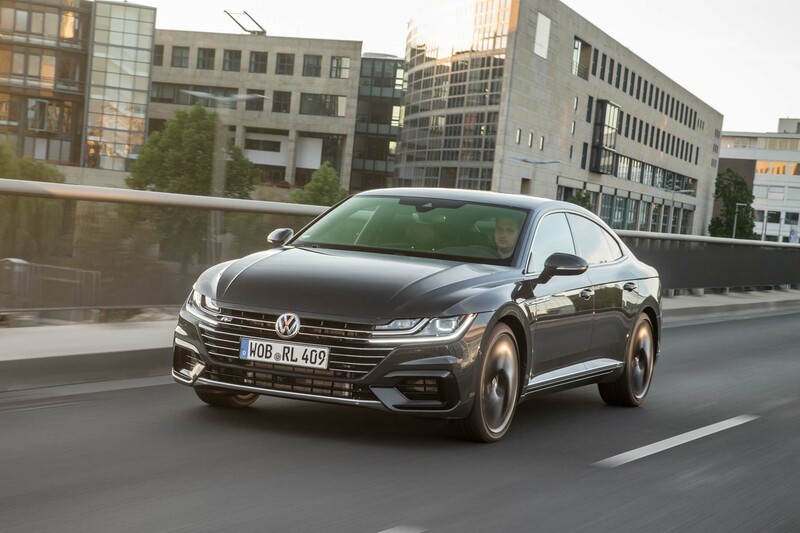 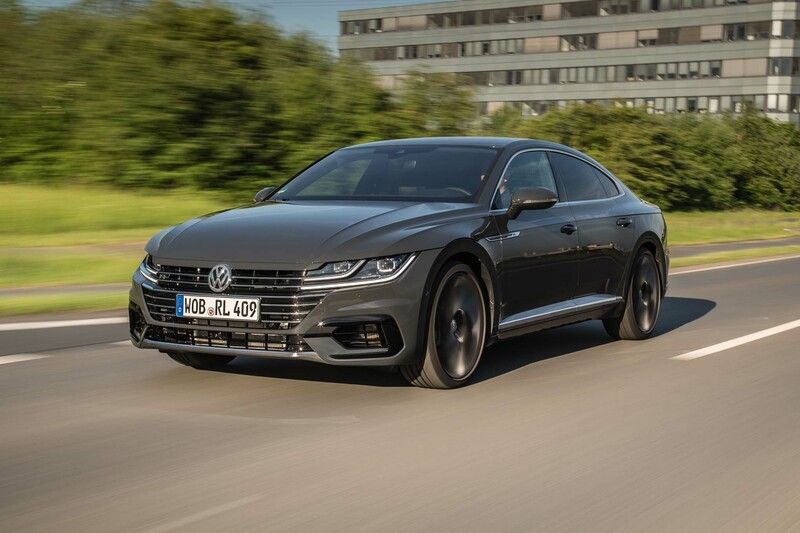 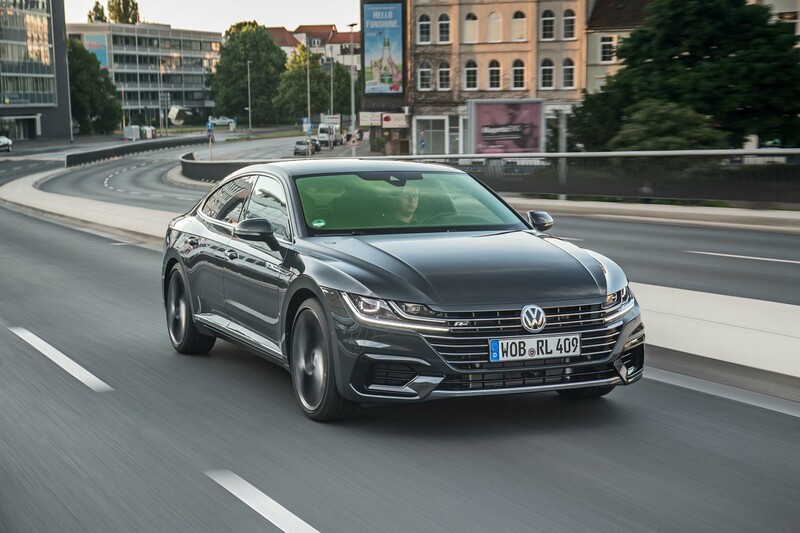 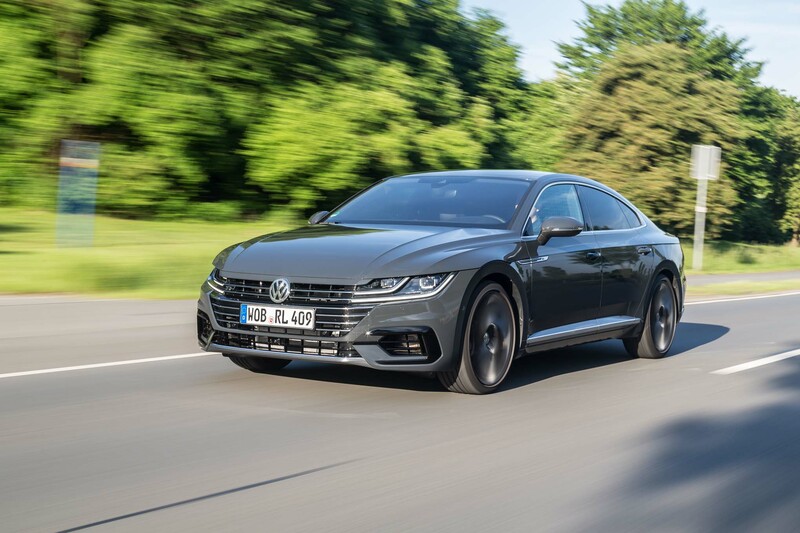 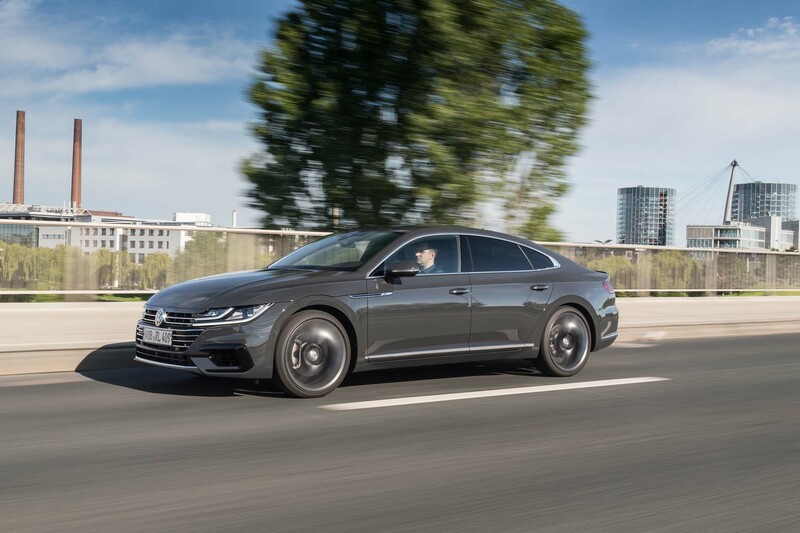 News Editor Conner Golden spent some time behind the wheel of a European-spec Arteon this past summer and had positive things to say about Wolfsburg’s latest. 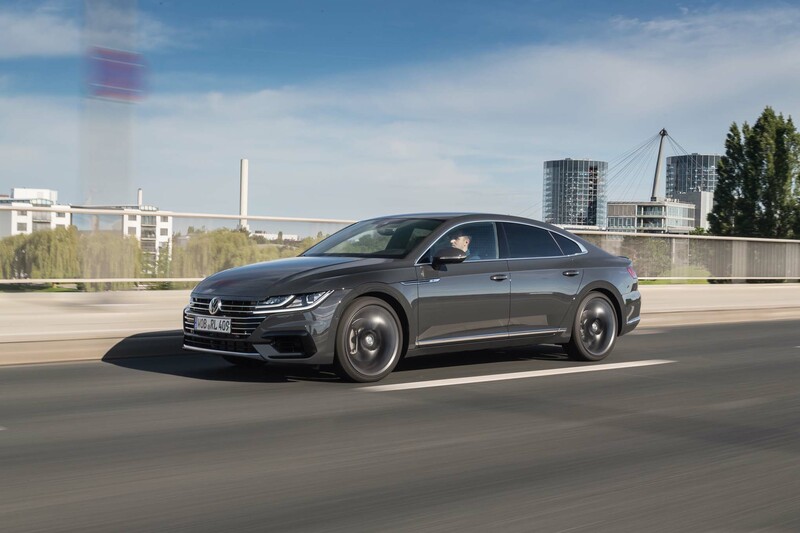 “On the Autobahn, our 4Motion all-wheel-drive-equipped tester was solid, big, and smooth—typically Teutonic. 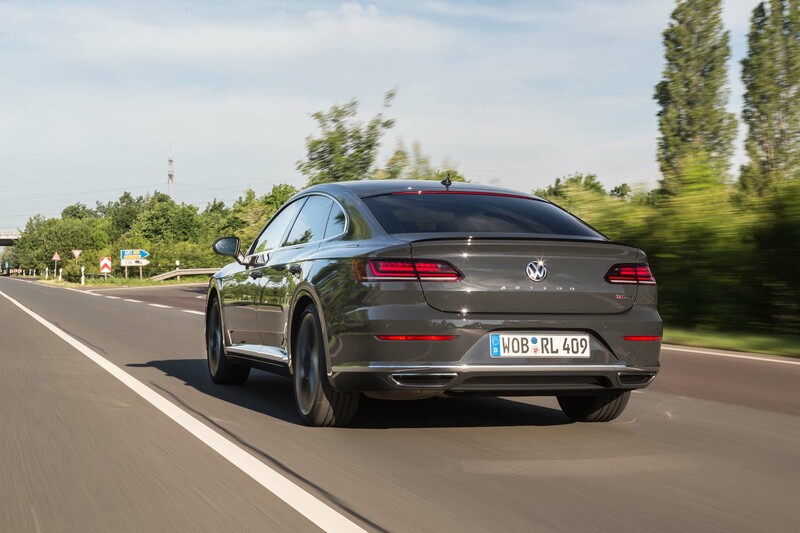 When we turned off the arrow-straight Autobahn and onto snaking German mountain passageways, it handled its bulk in a manner befitting the sleek appearance,” said Golden. 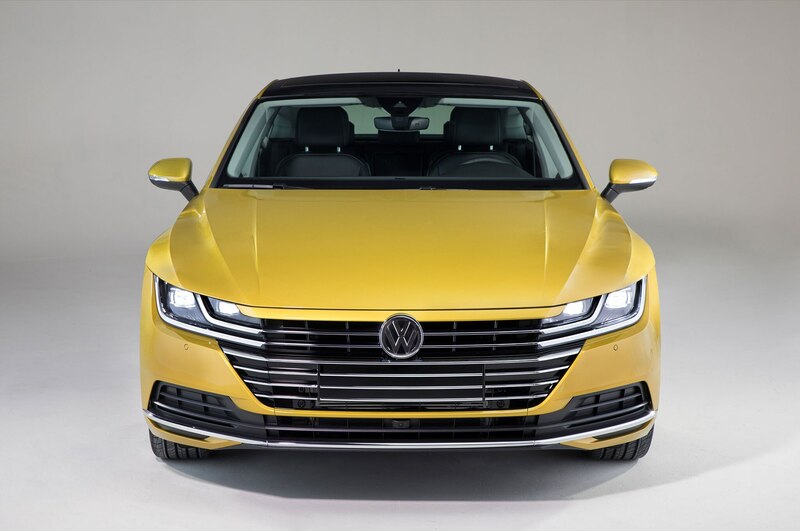 Volkswagen didn’t announce pricing, but expect the 2019 Arteon to start no less than $35,000 when it arrives in showrooms early this fall.